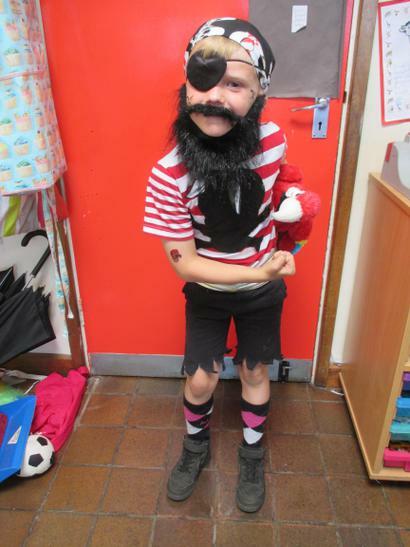 Y'aar! 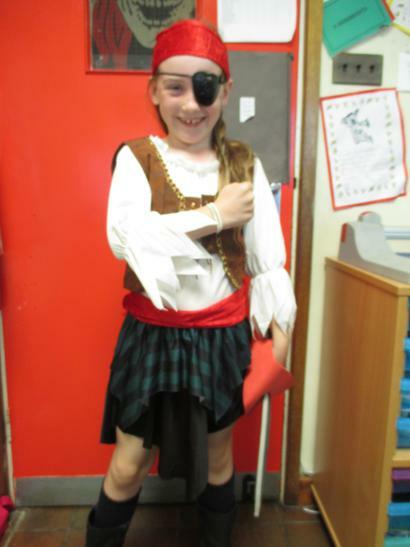 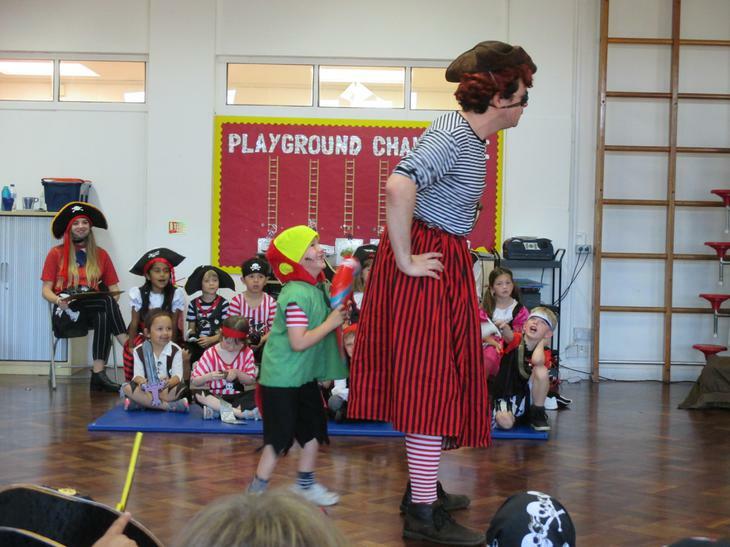 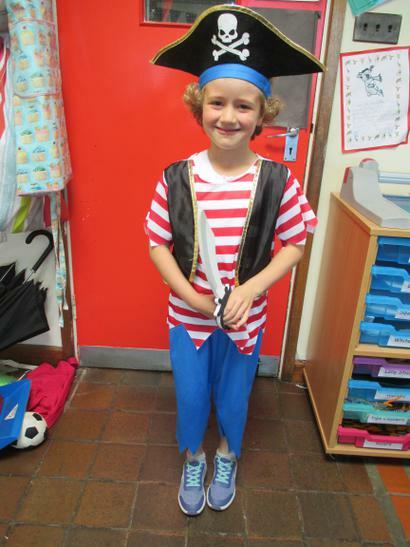 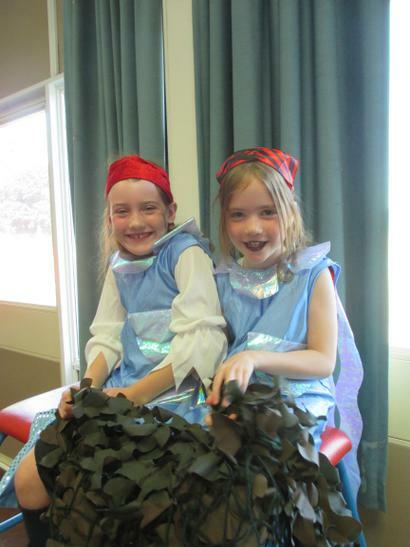 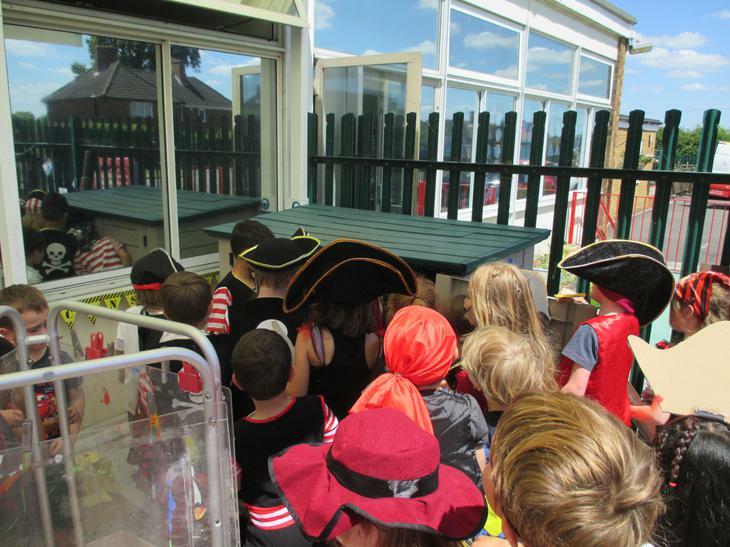 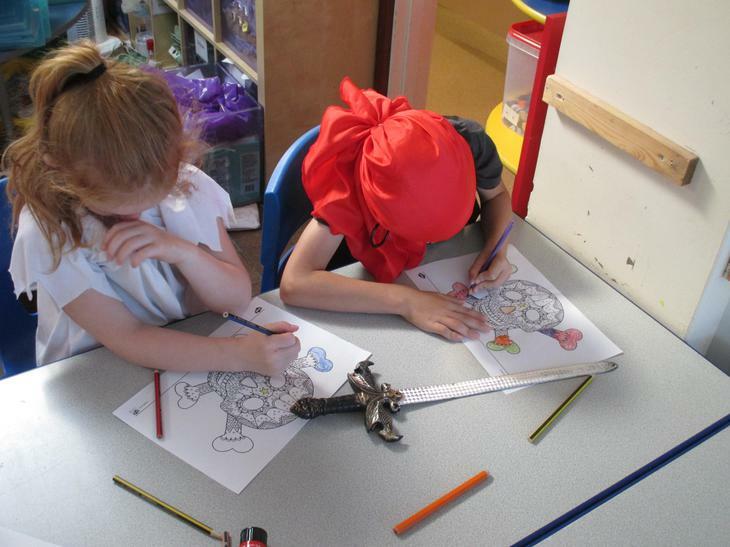 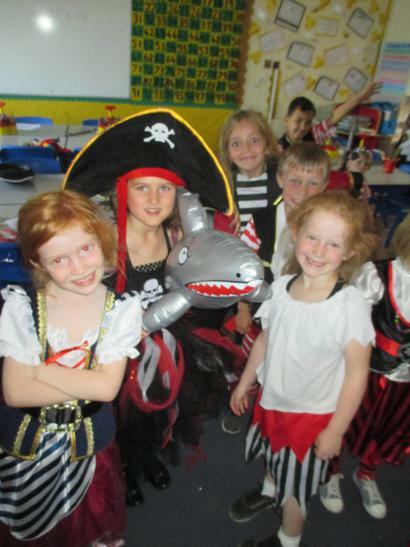 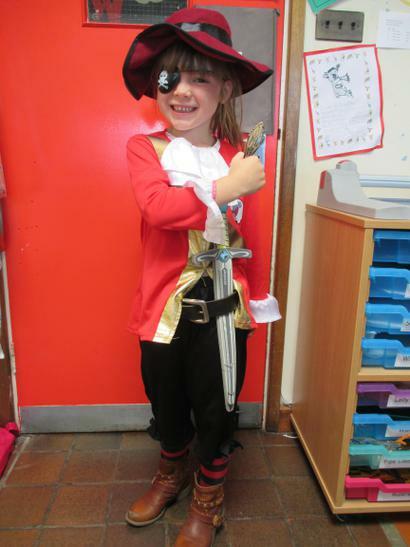 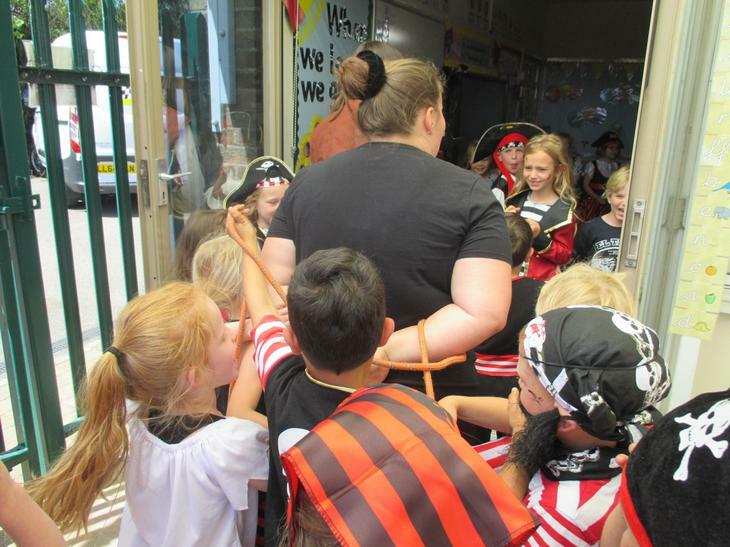 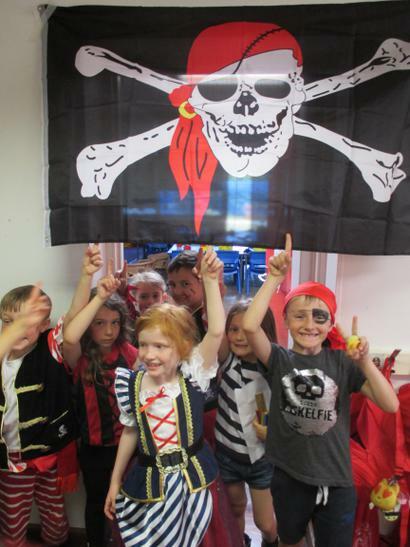 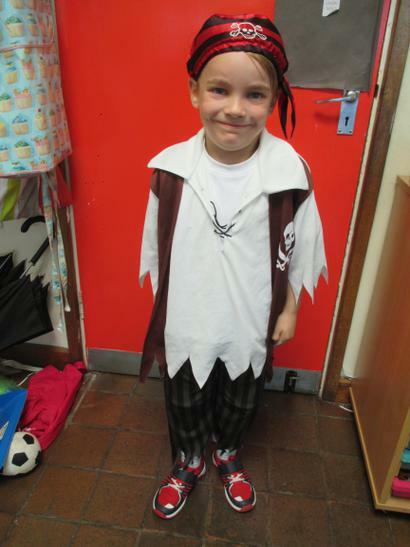 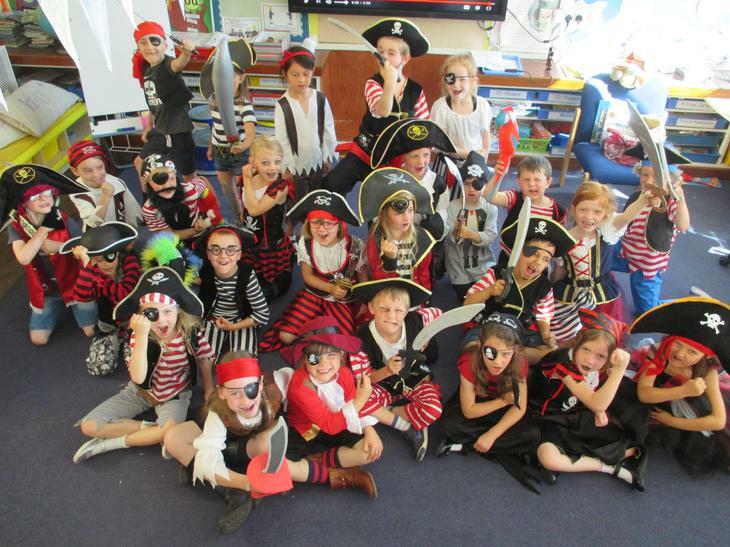 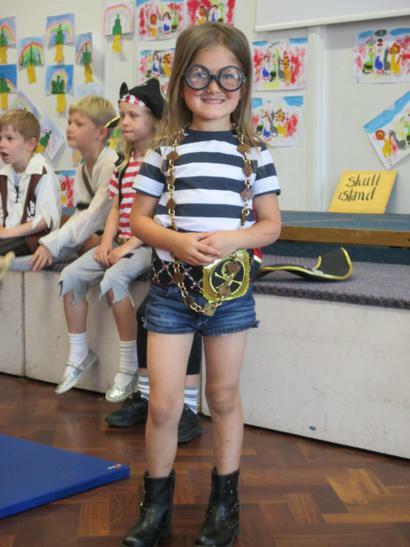 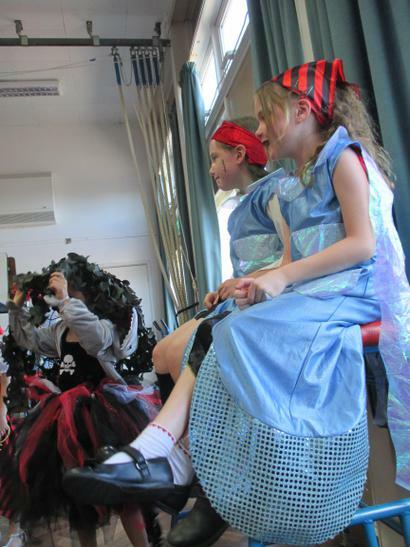 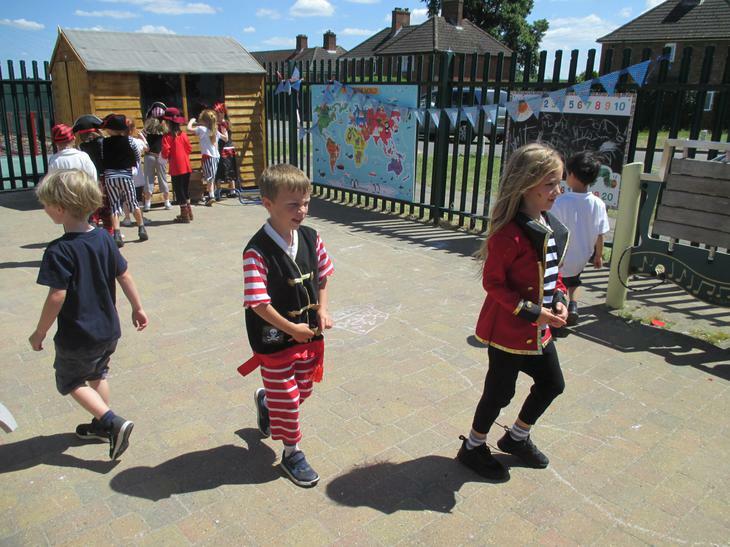 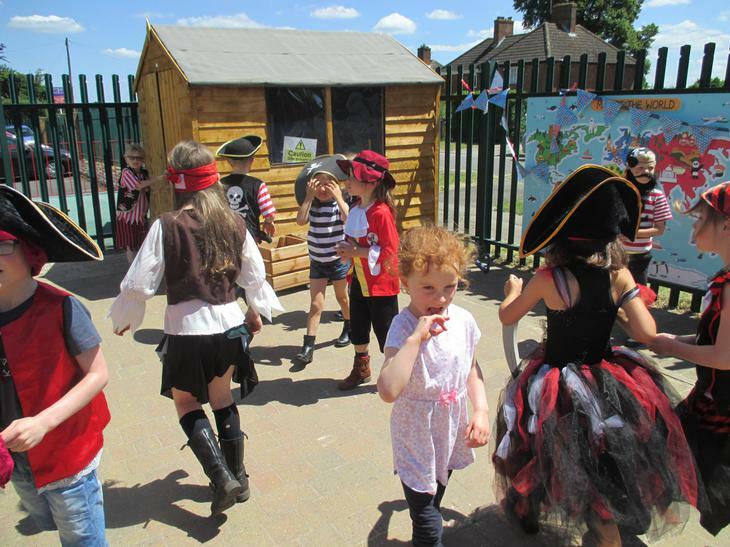 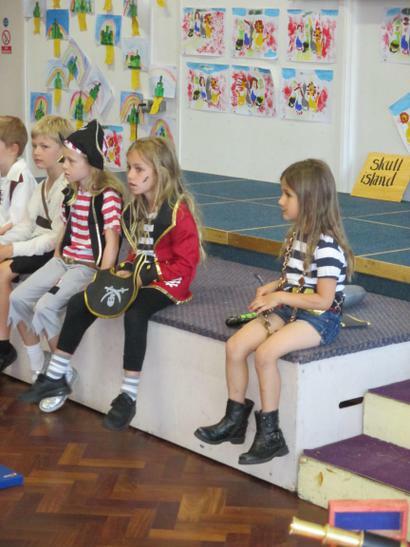 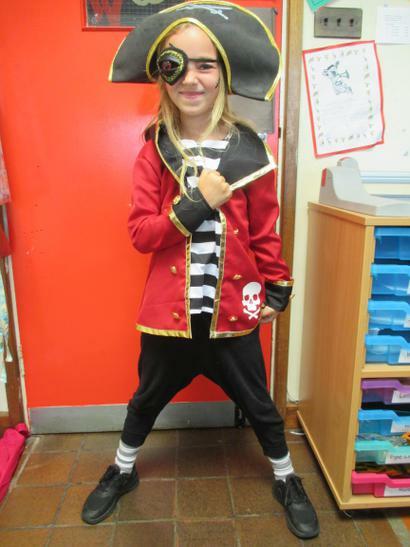 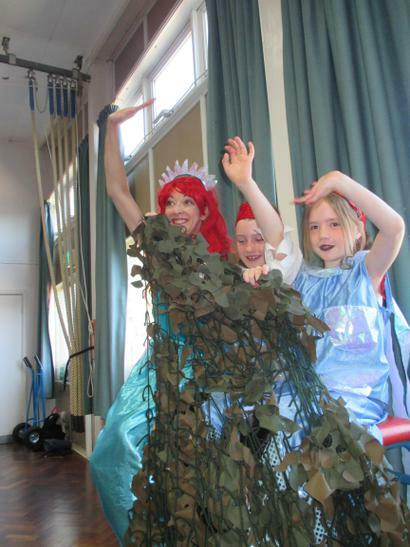 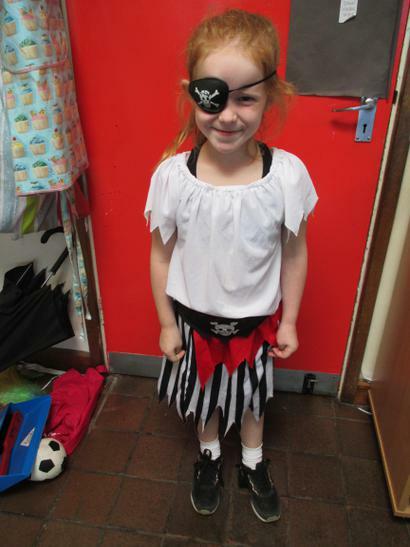 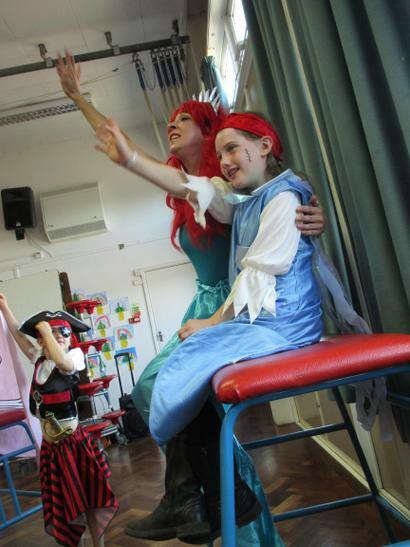 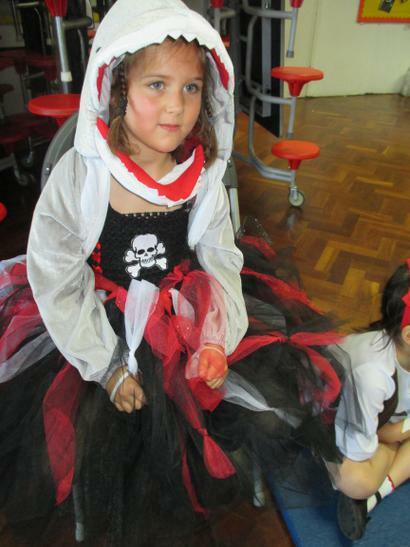 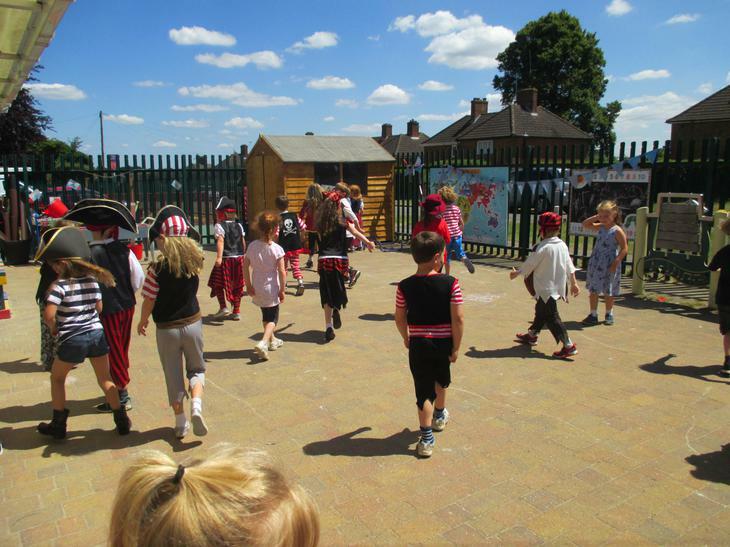 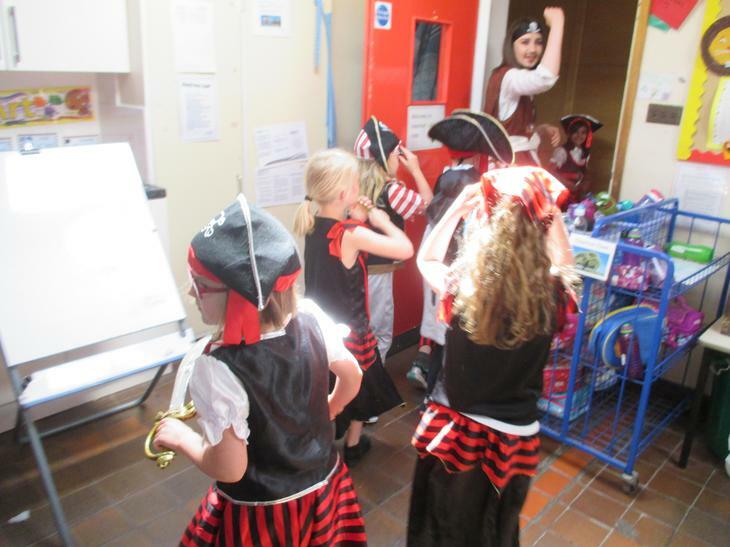 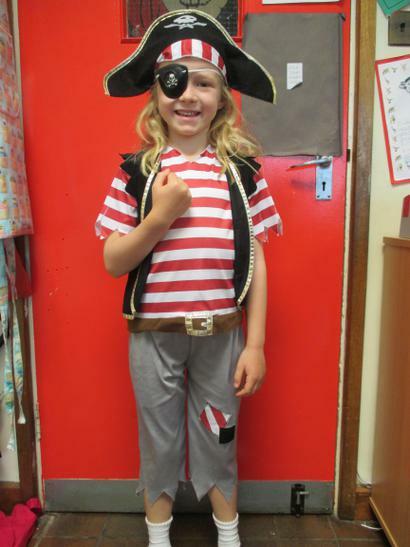 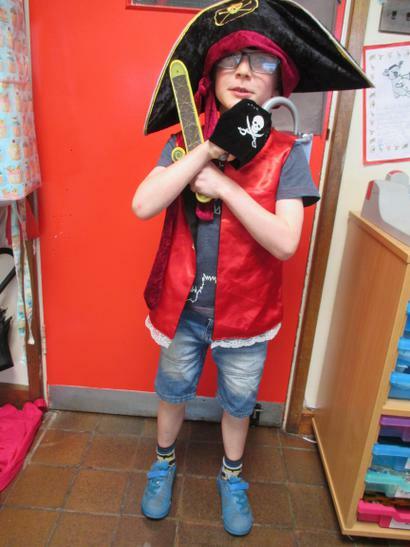 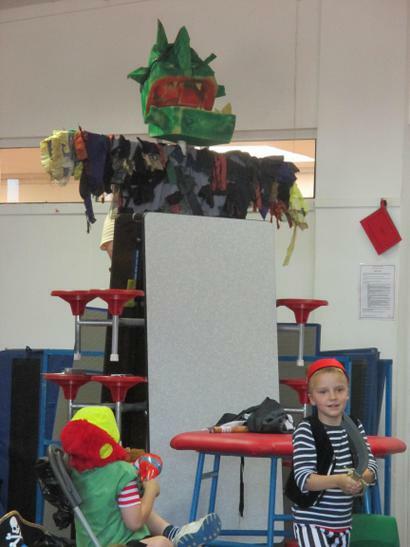 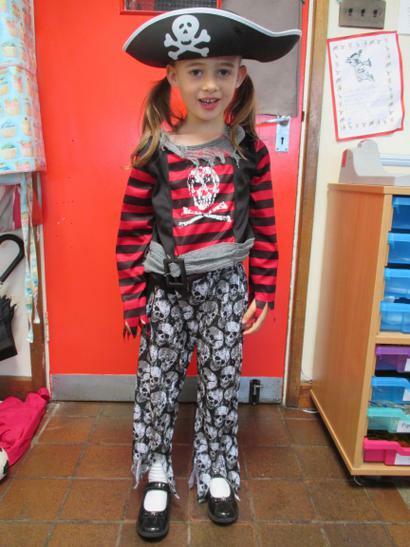 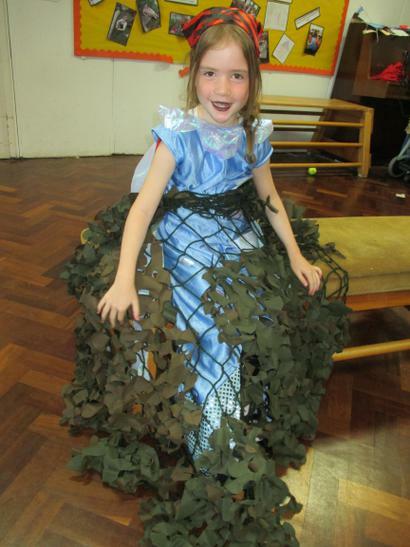 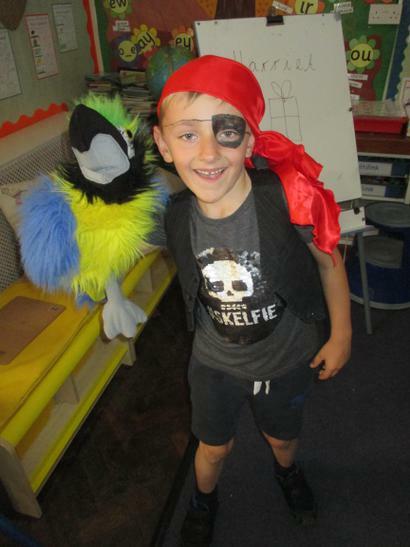 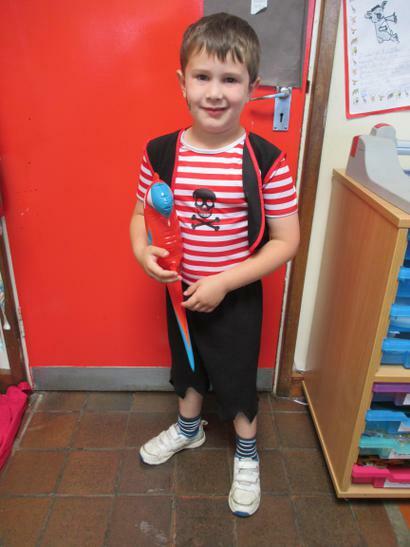 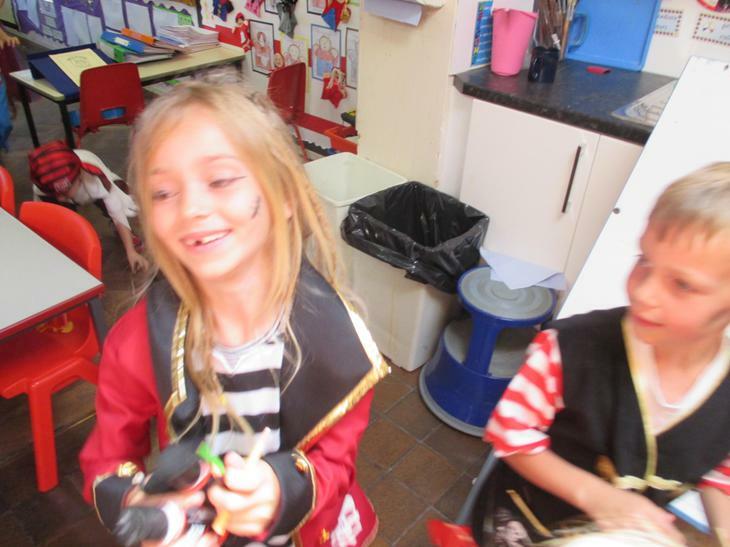 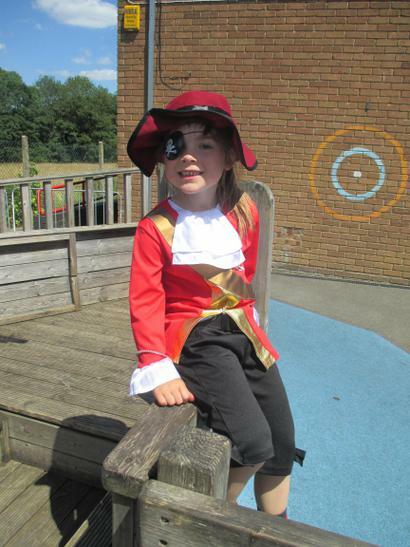 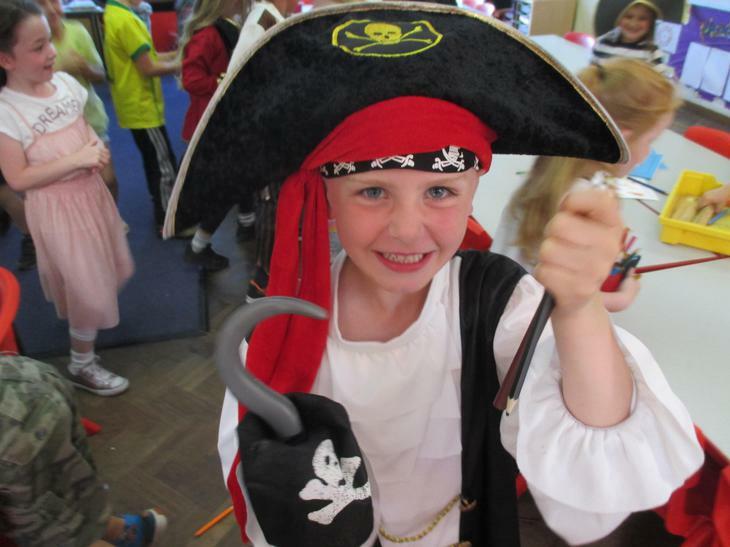 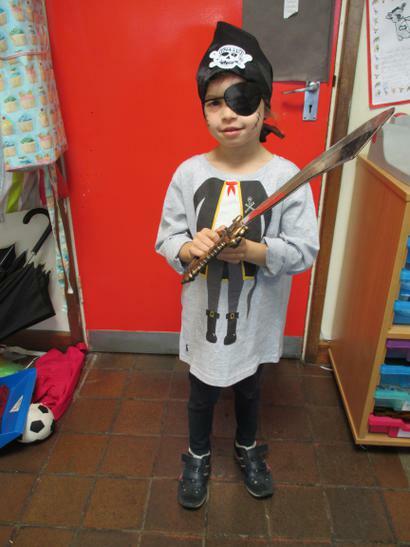 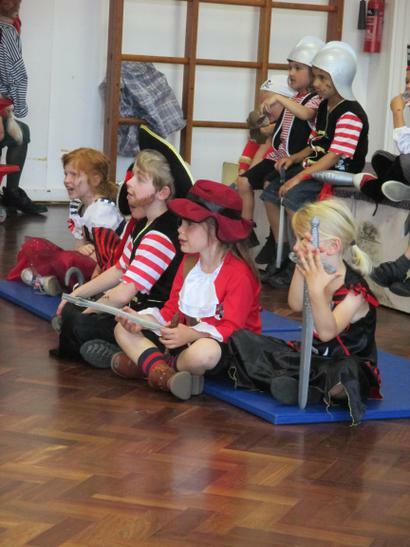 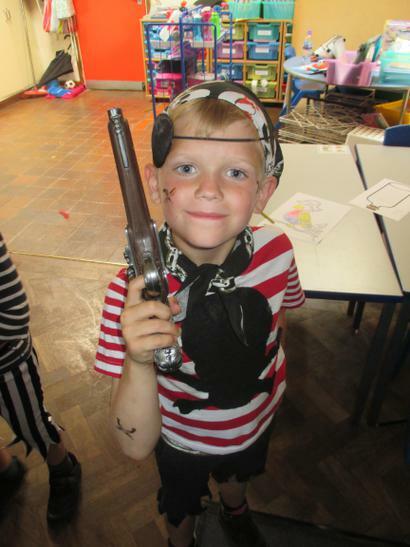 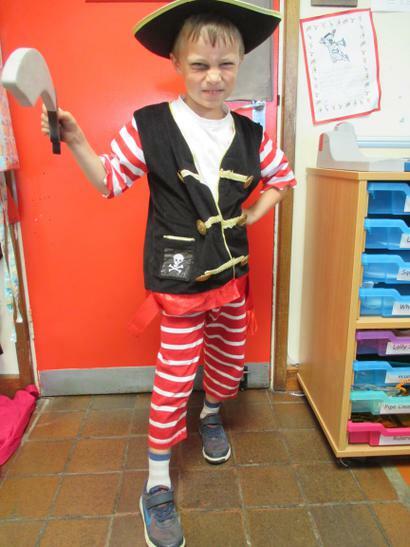 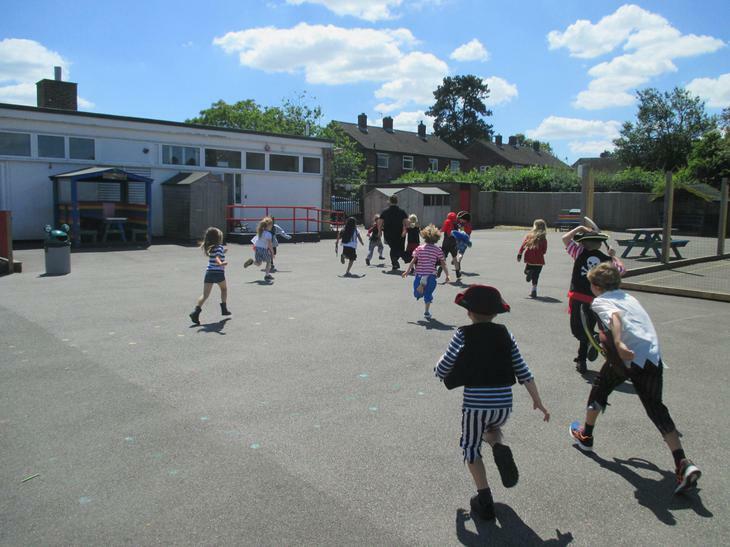 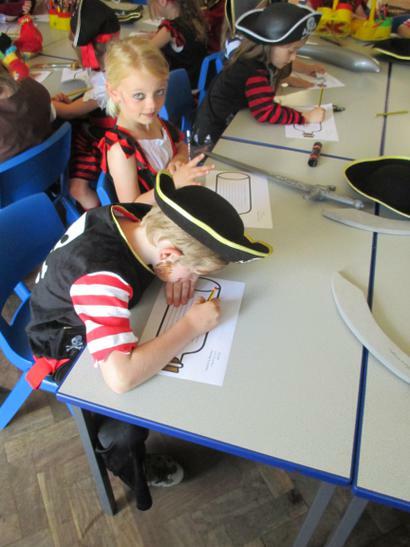 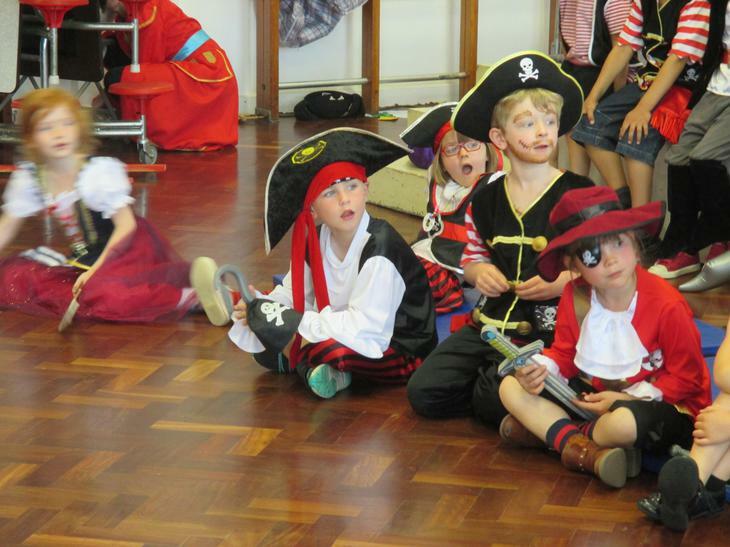 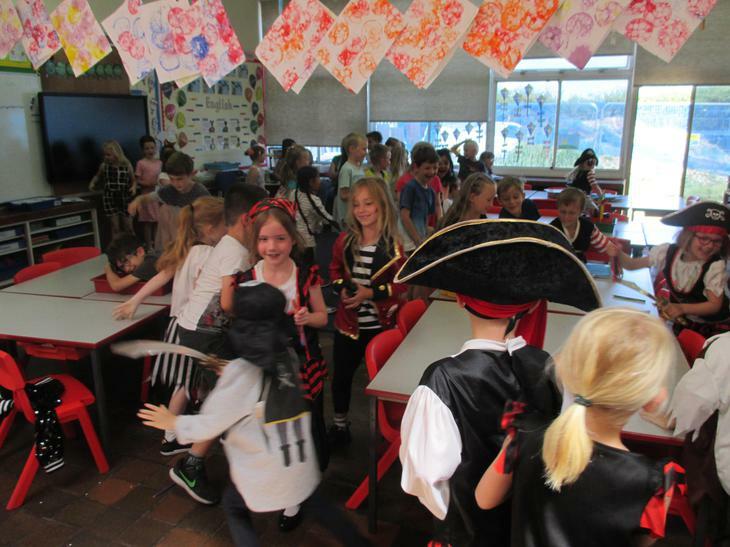 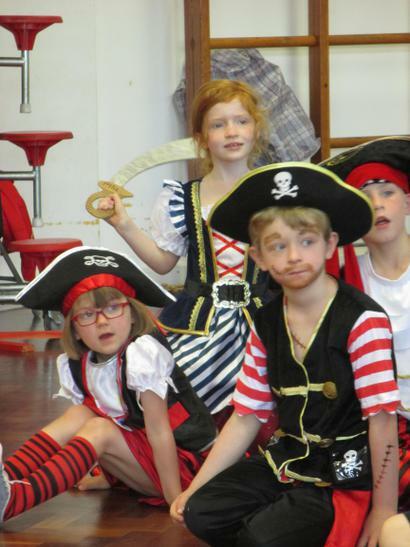 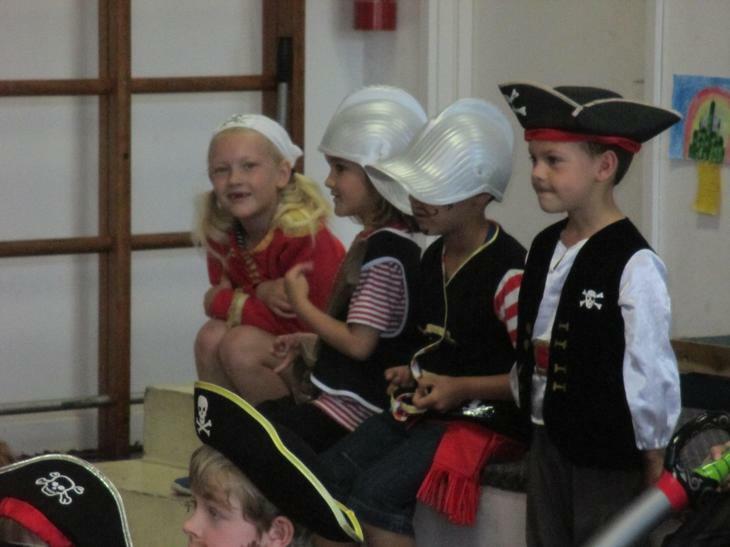 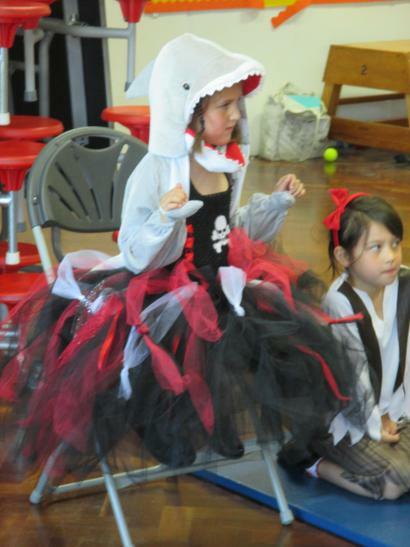 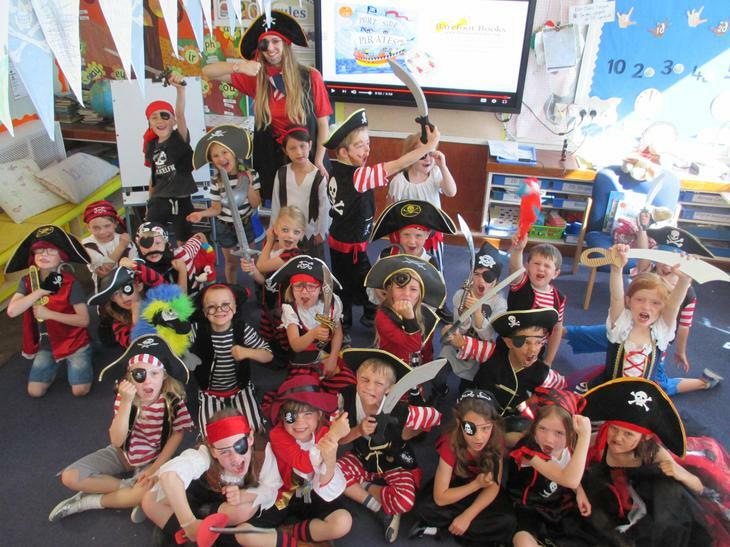 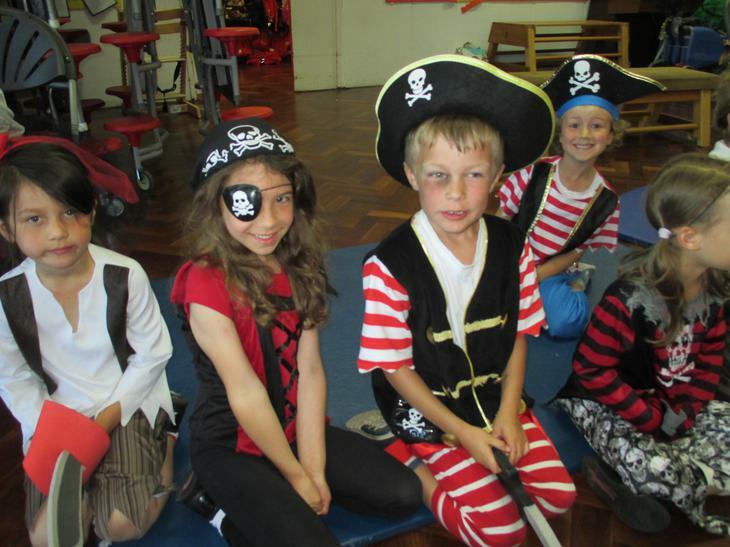 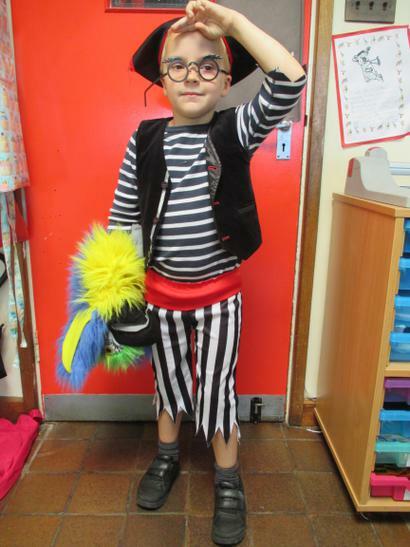 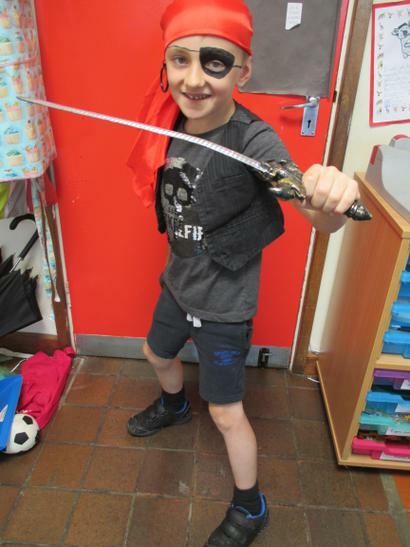 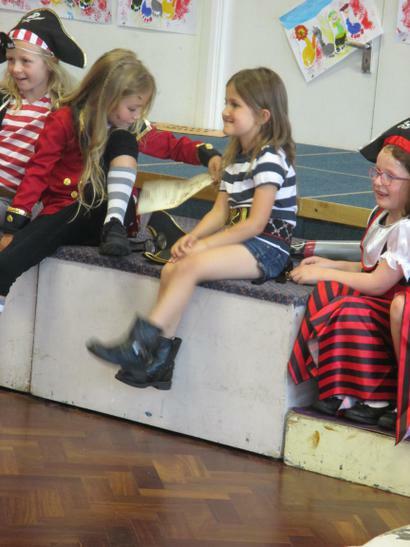 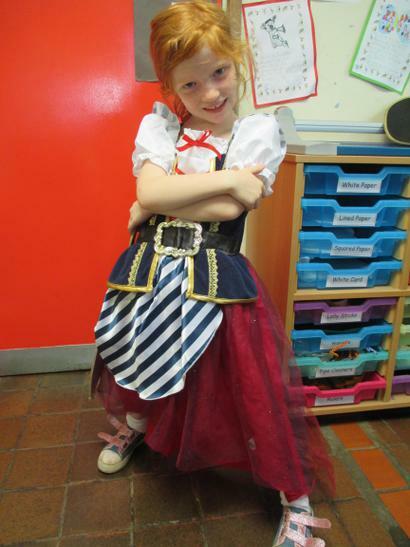 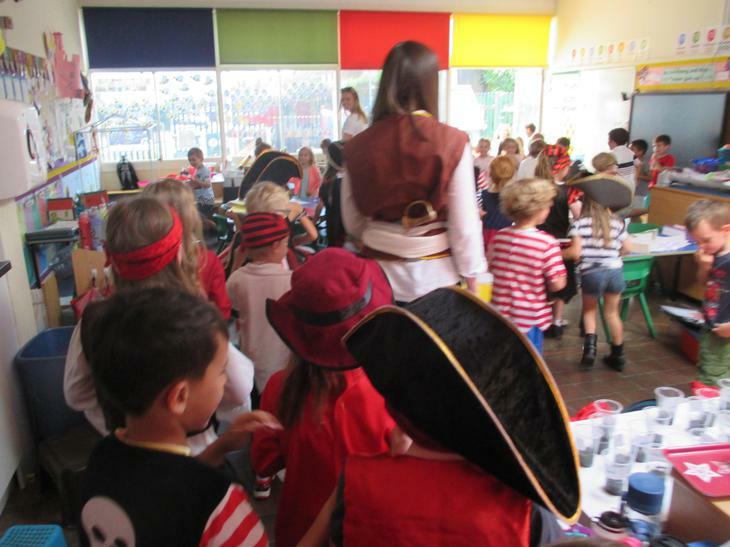 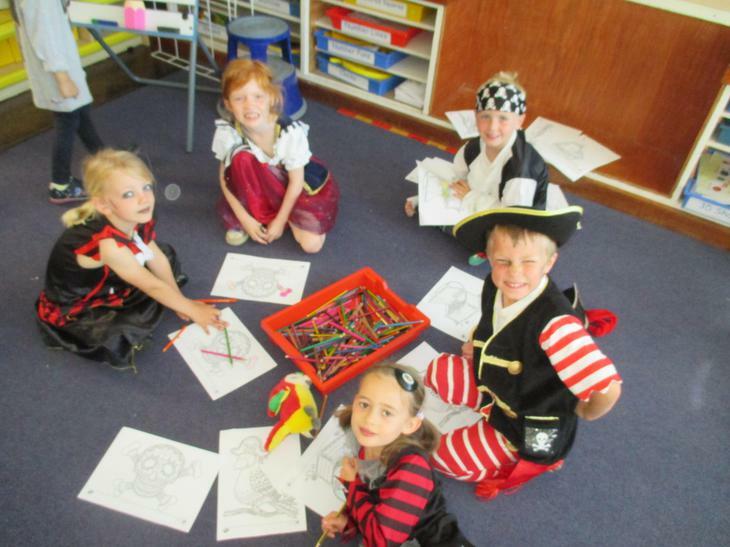 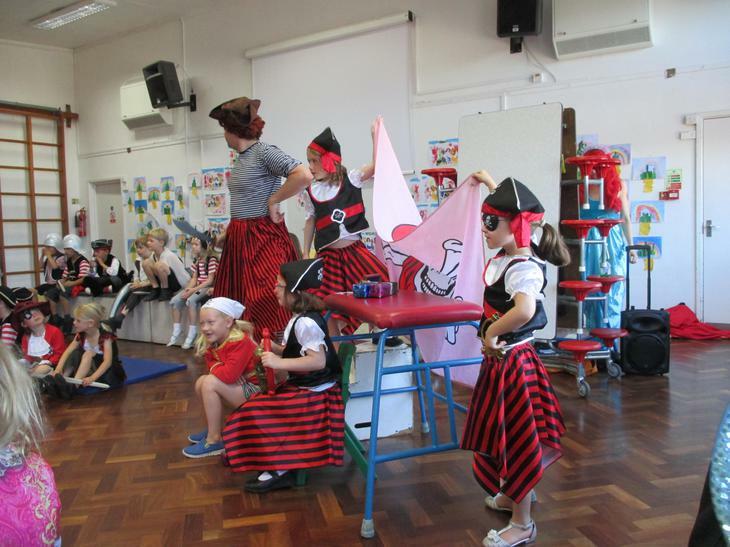 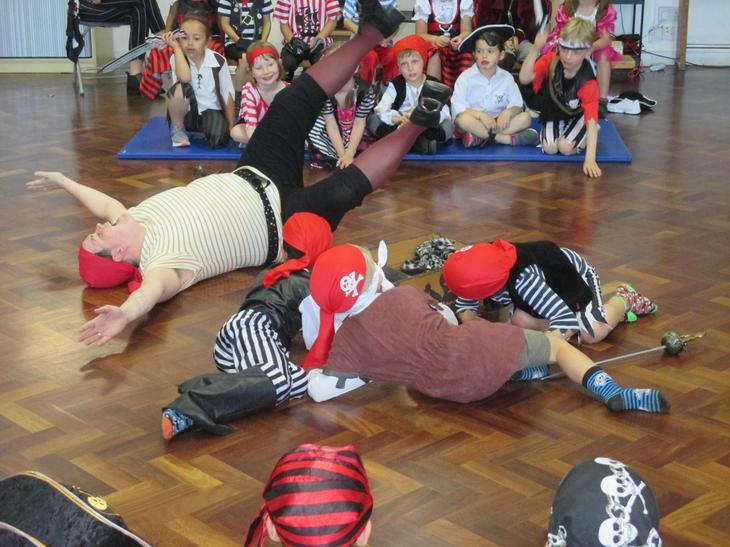 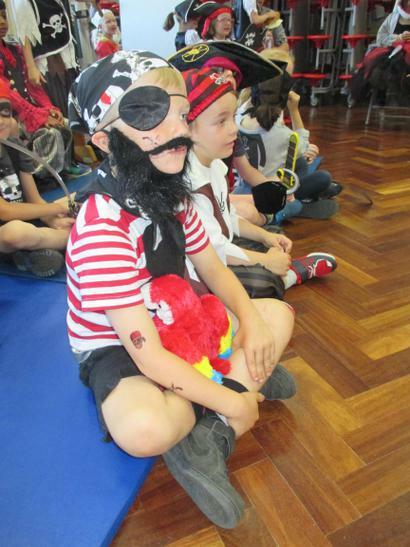 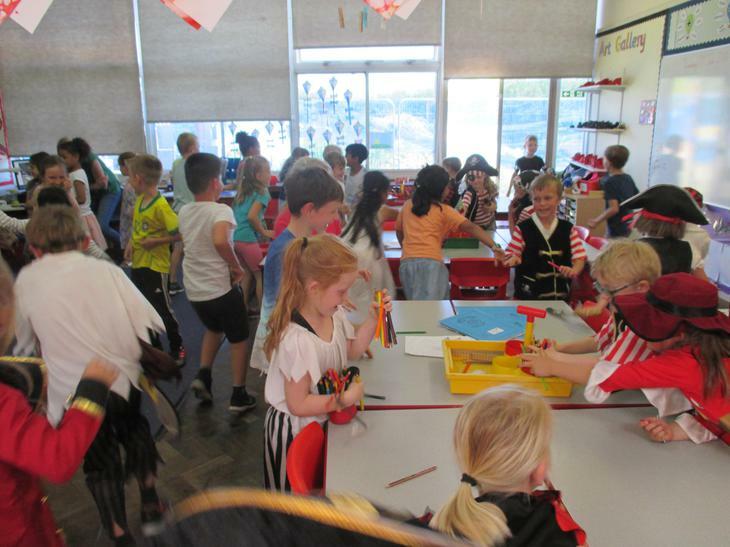 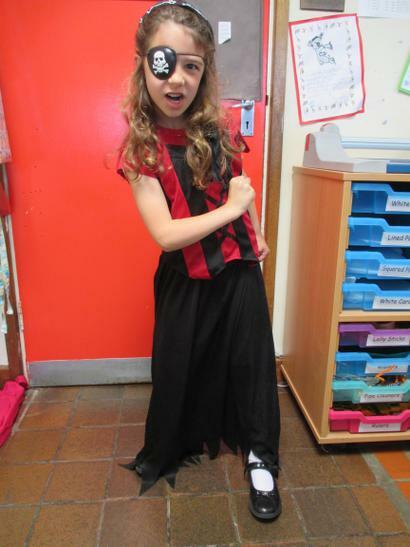 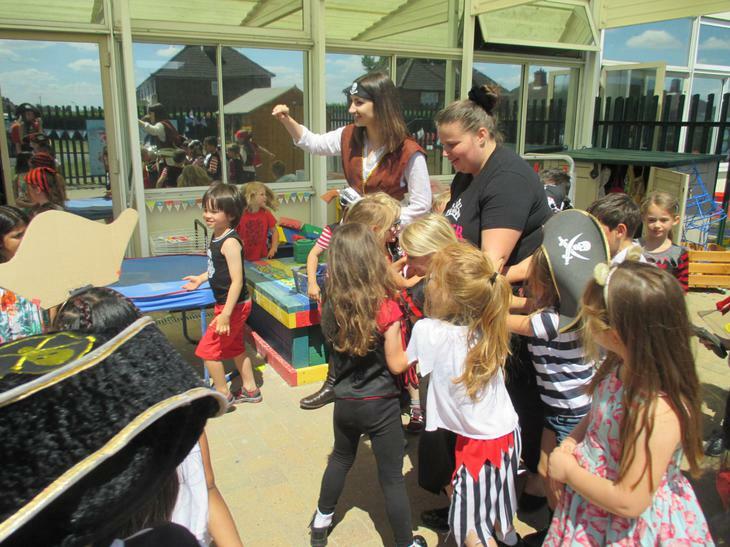 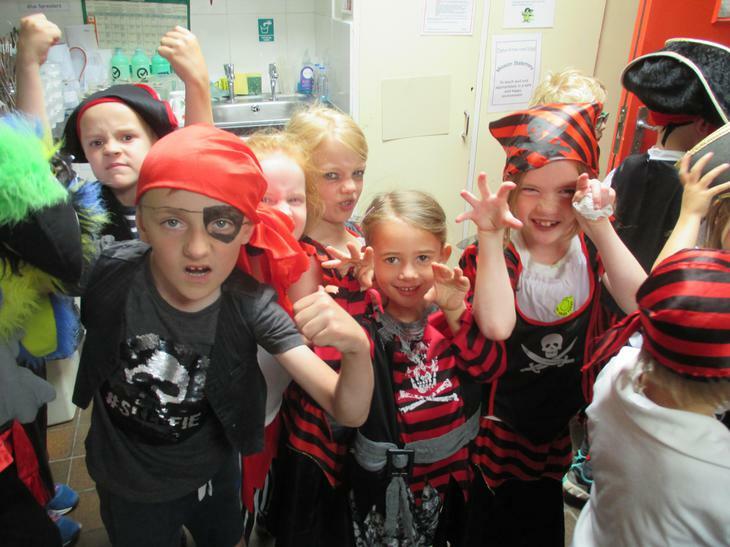 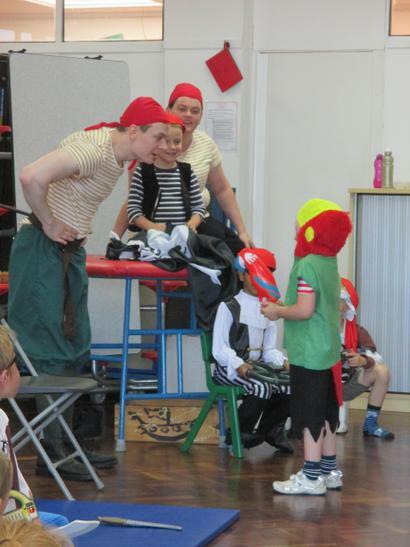 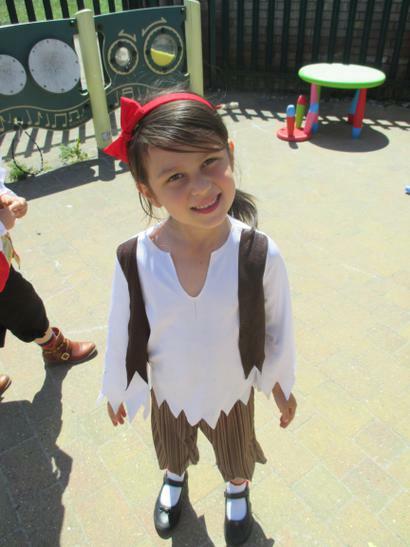 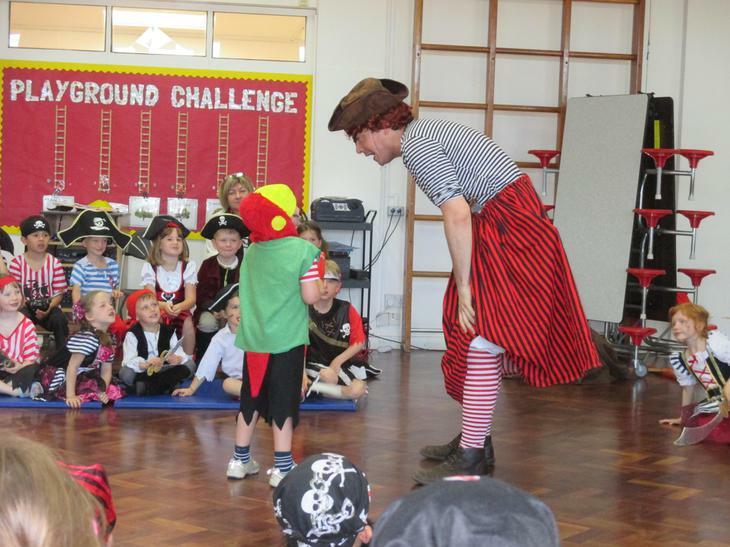 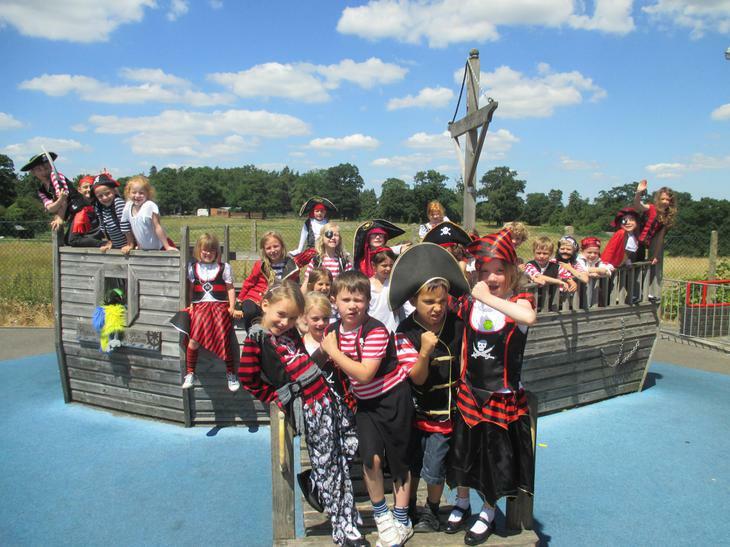 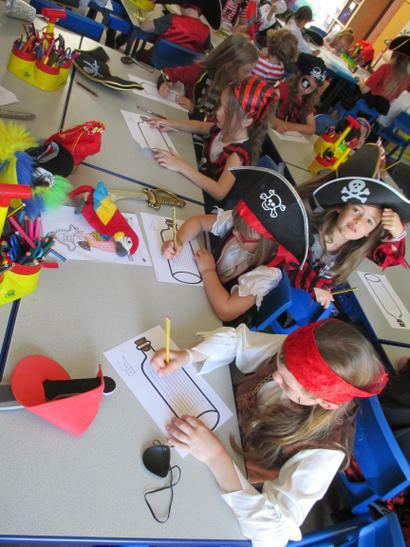 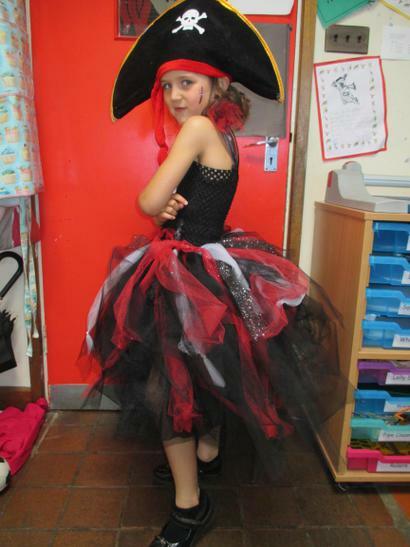 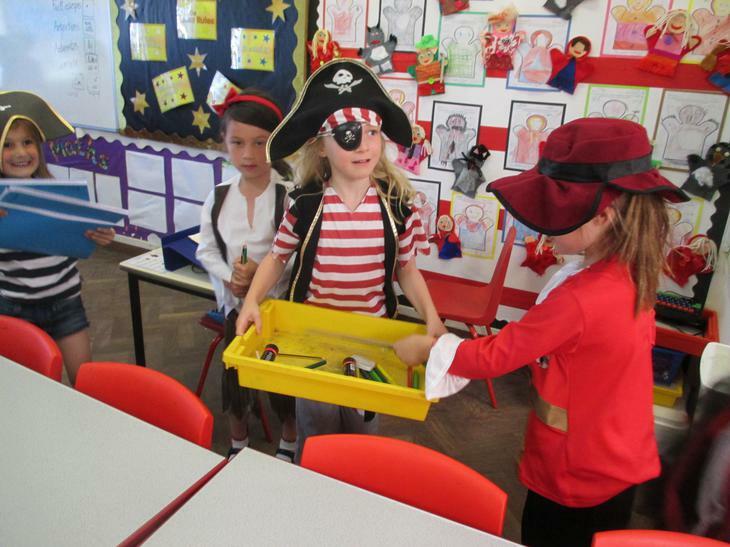 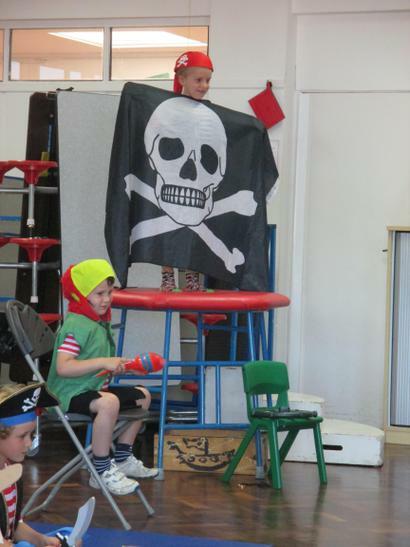 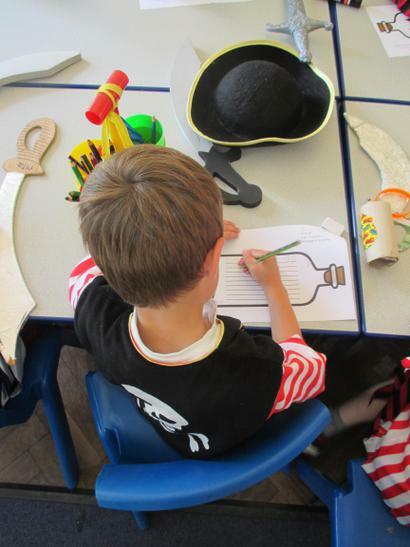 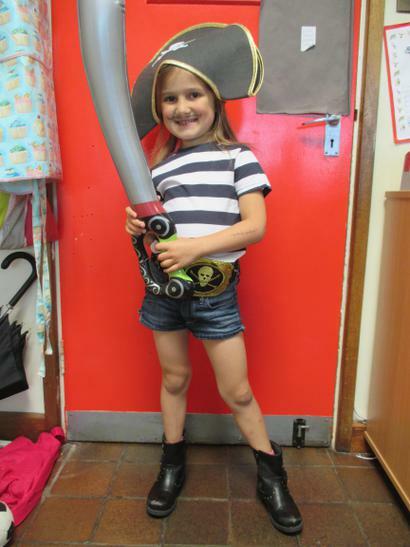 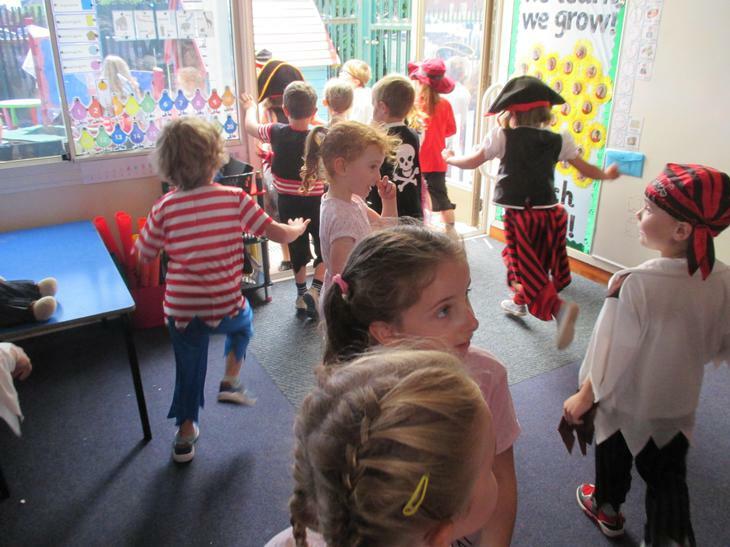 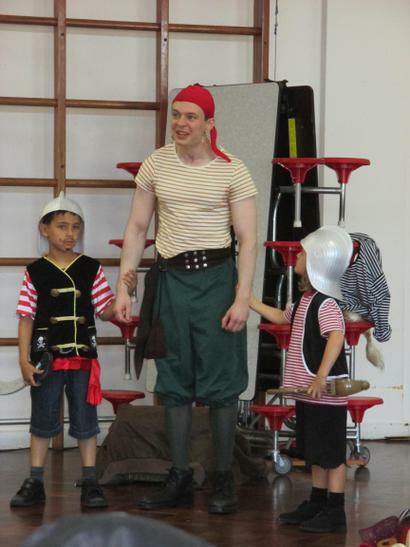 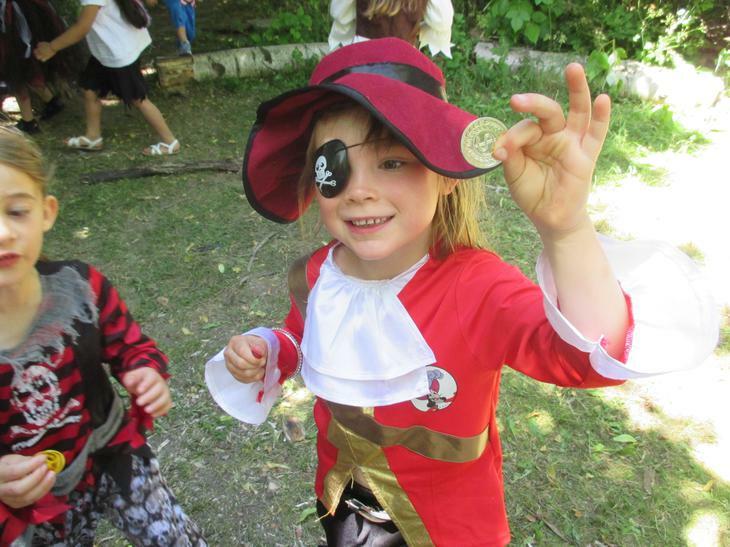 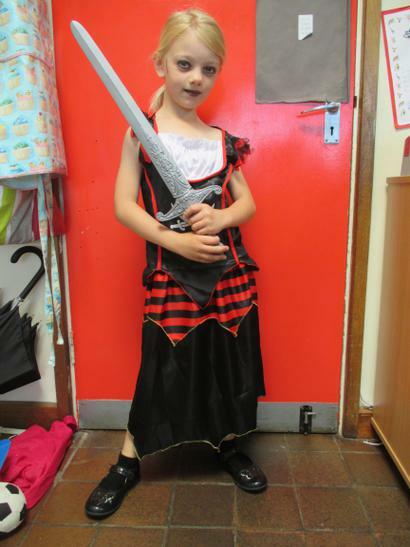 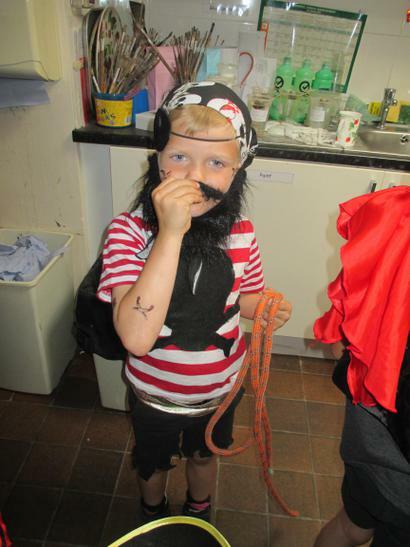 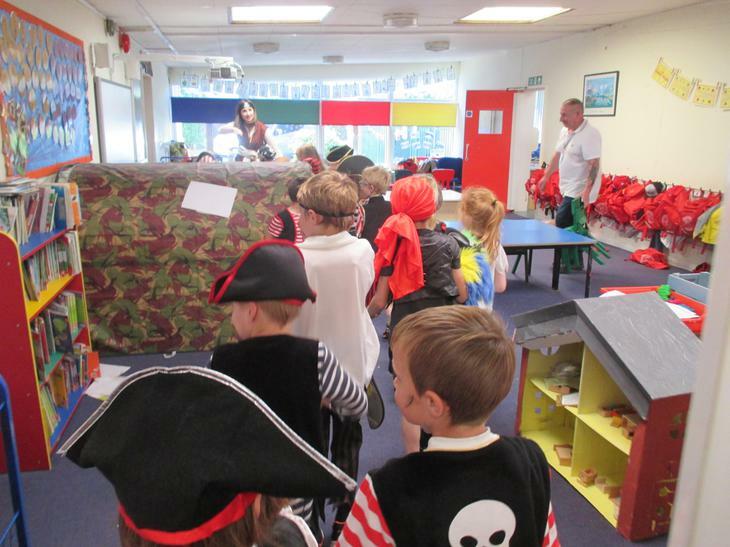 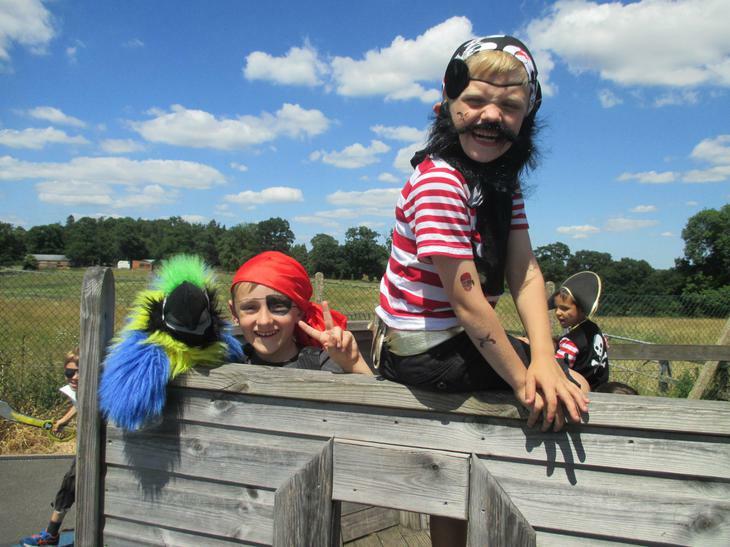 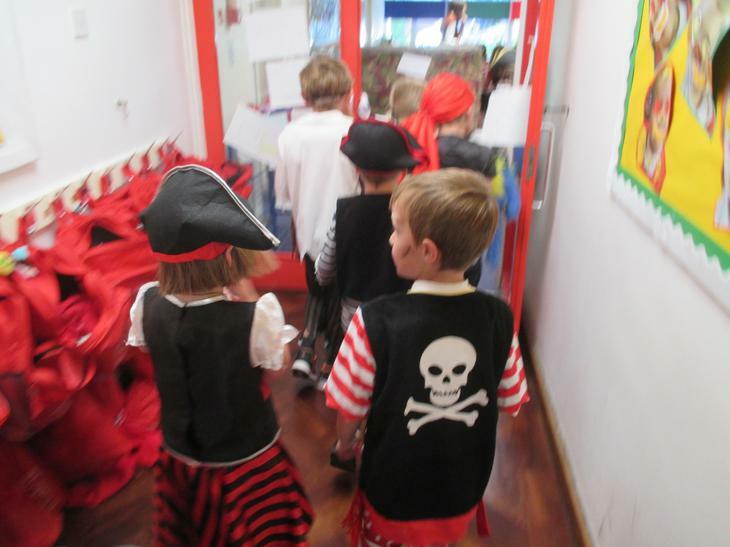 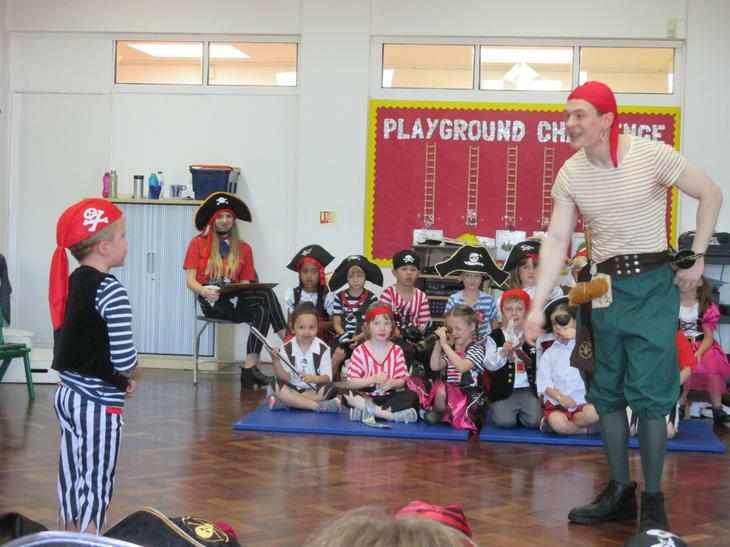 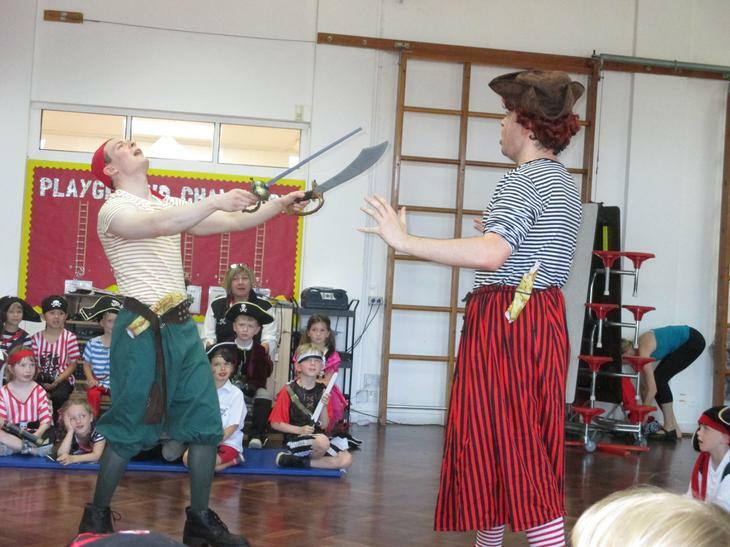 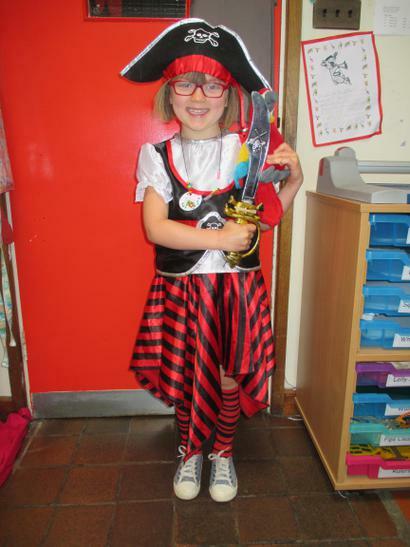 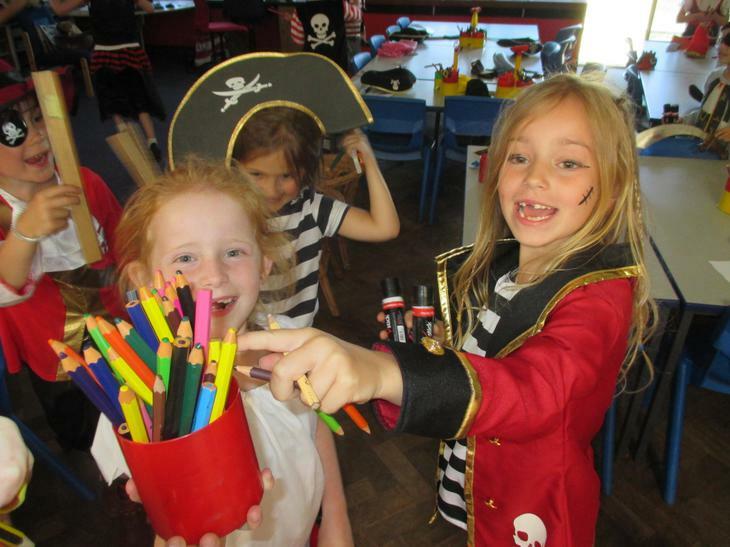 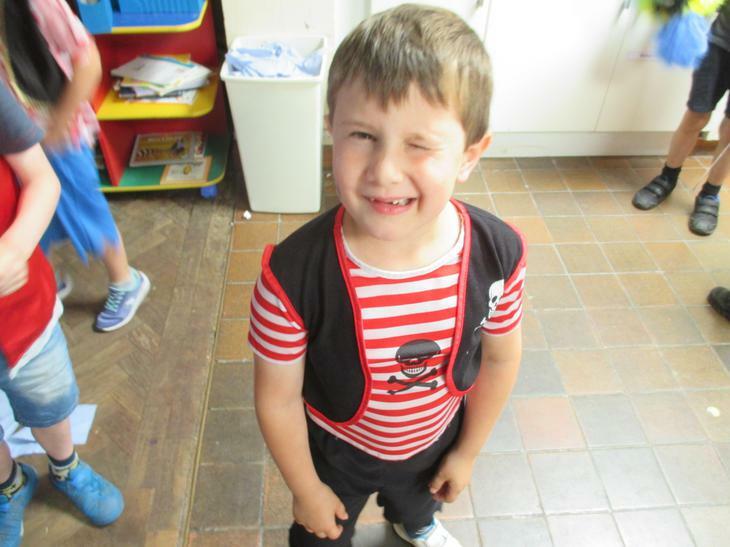 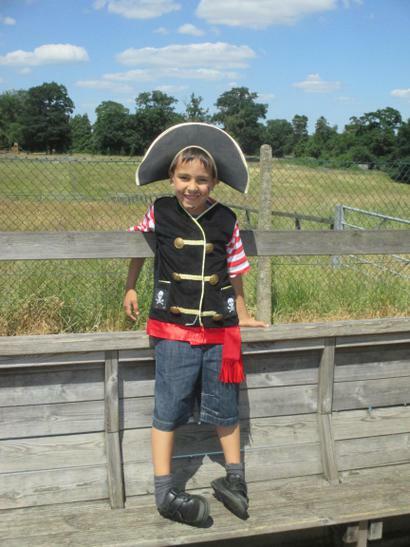 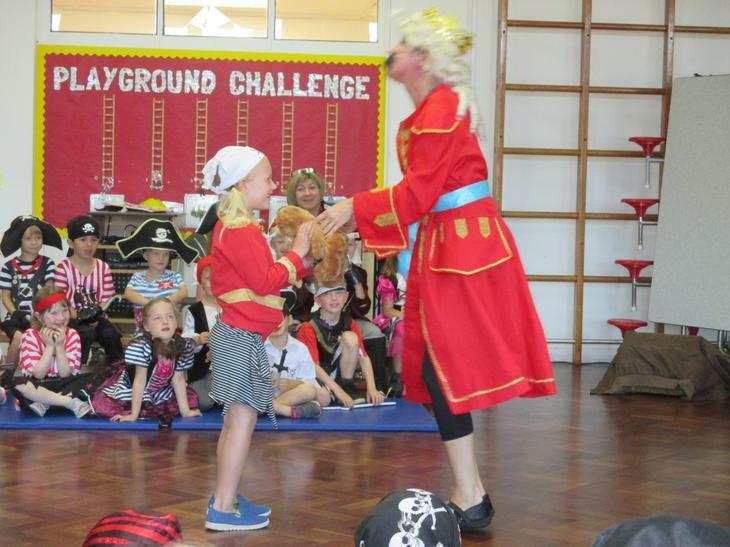 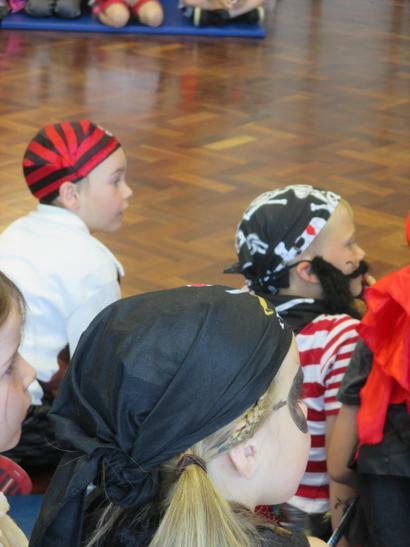 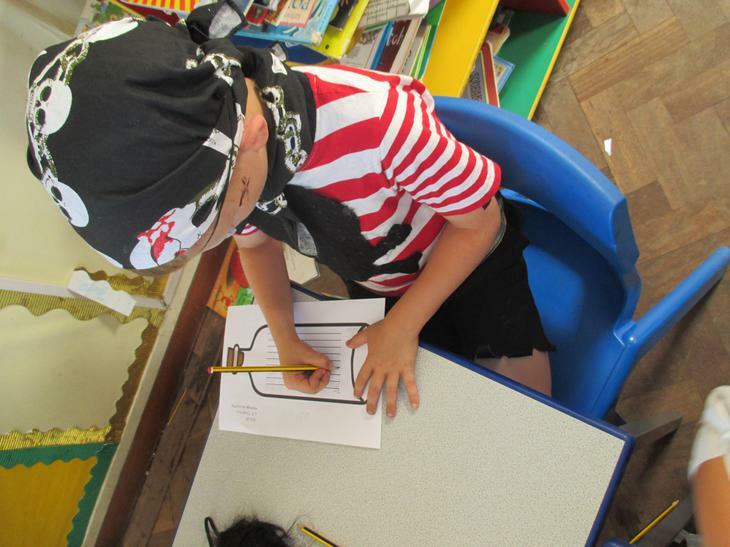 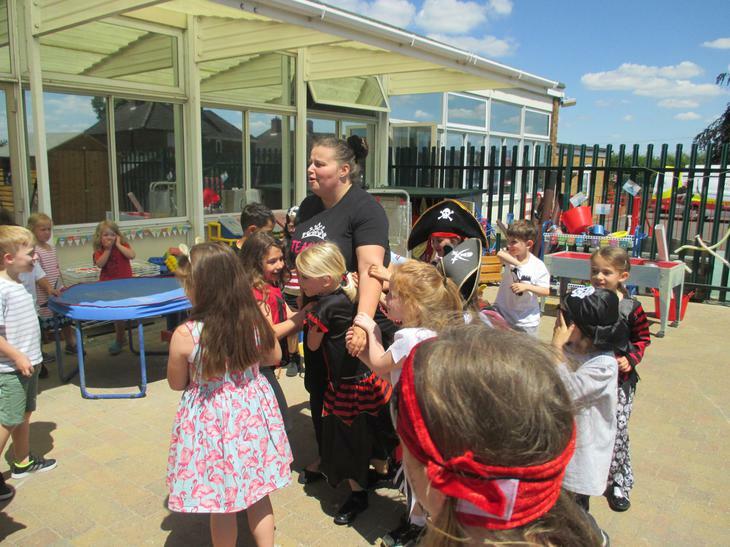 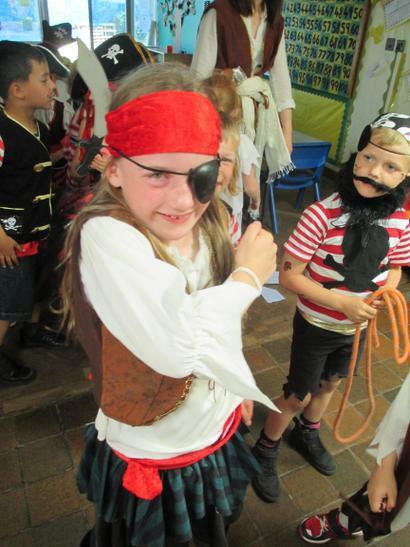 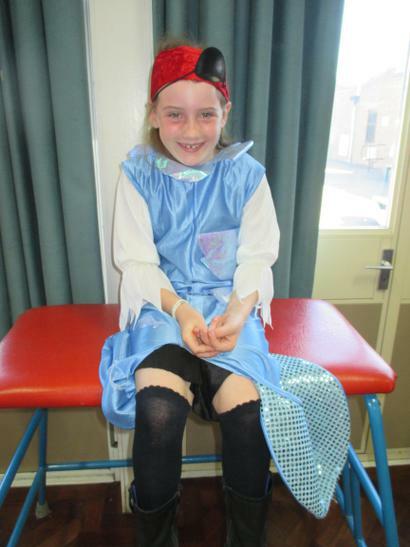 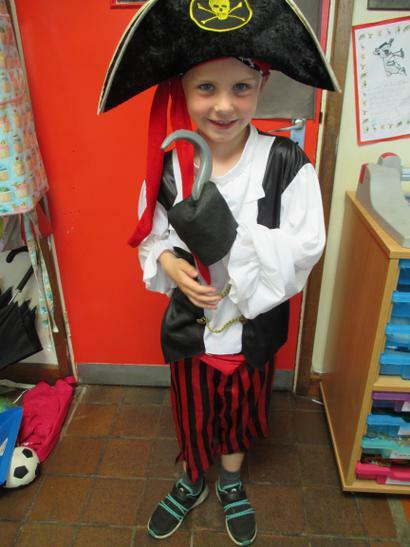 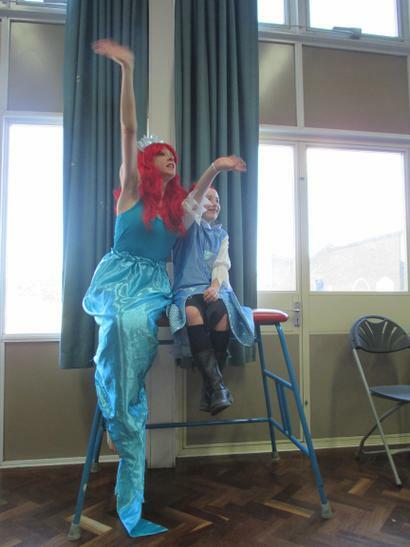 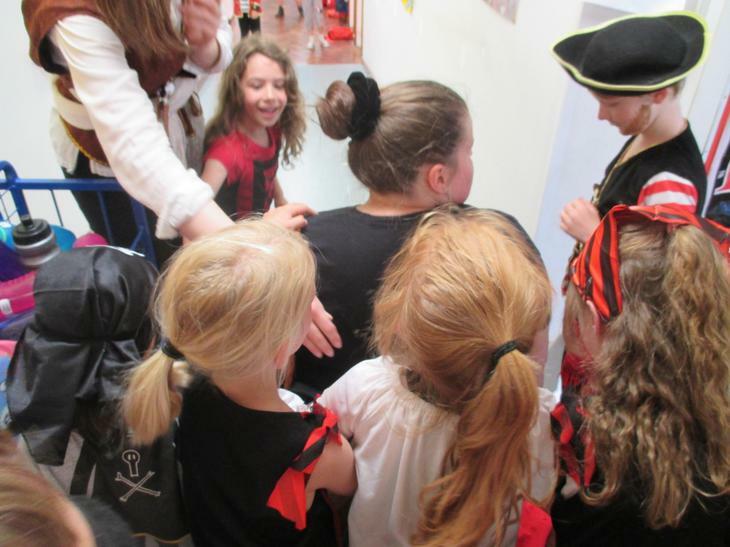 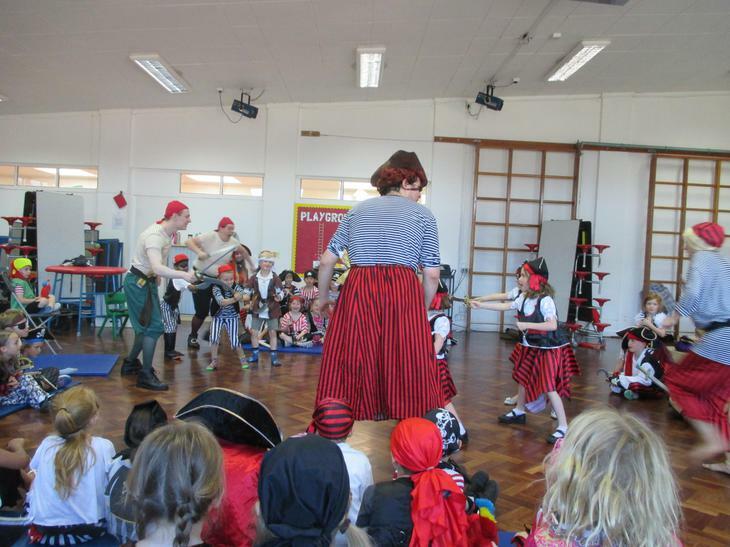 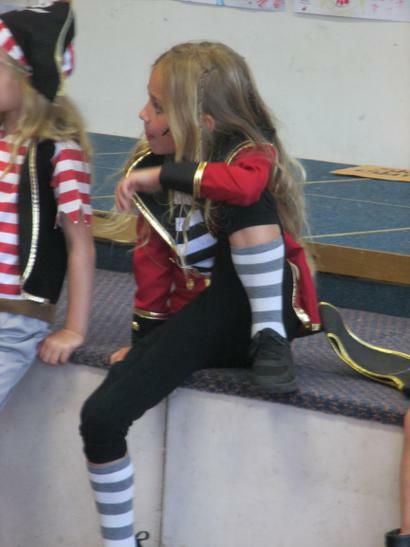 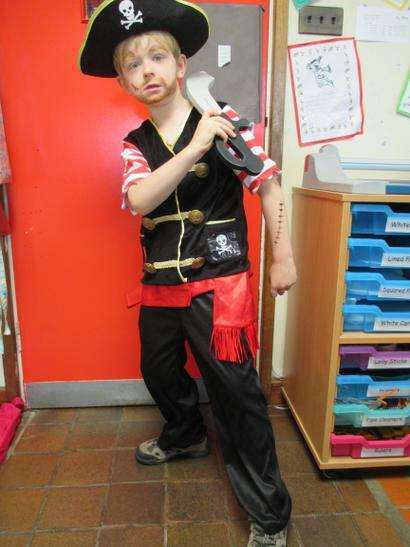 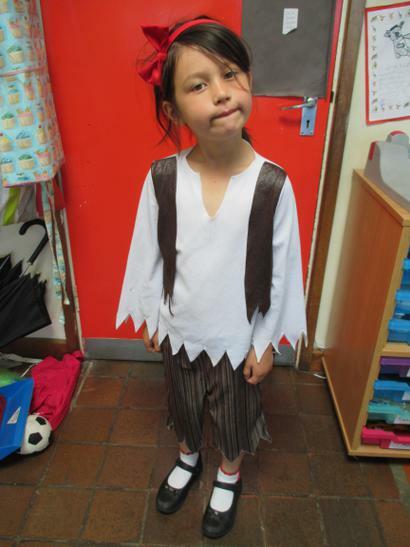 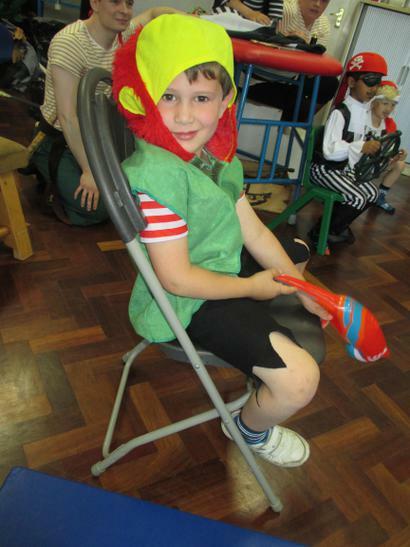 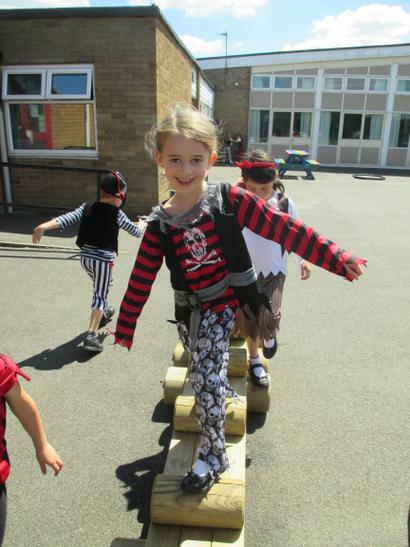 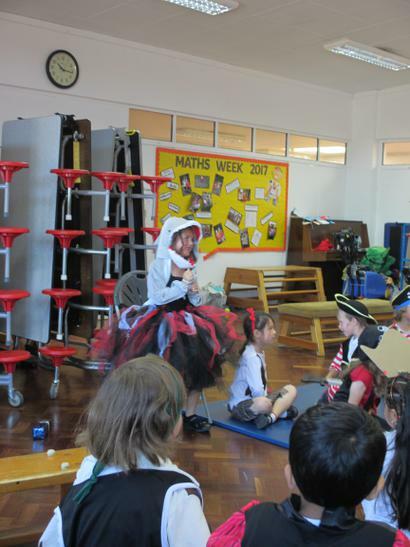 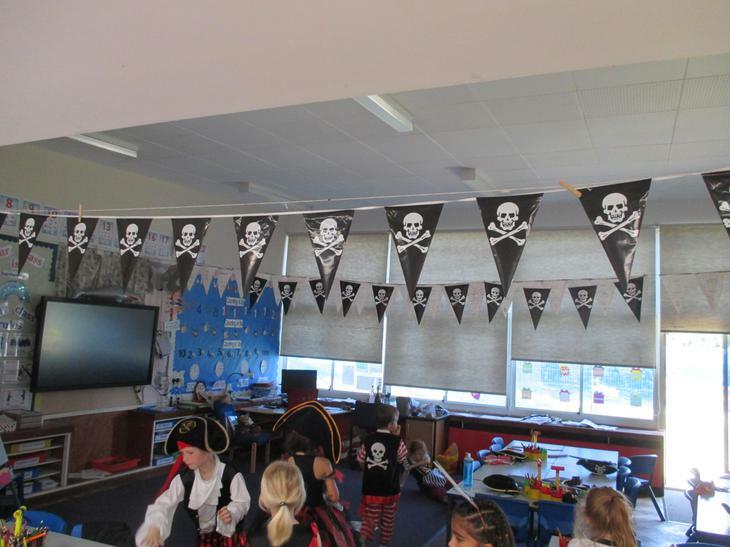 What a swashbuckling Pirate Day we have had! 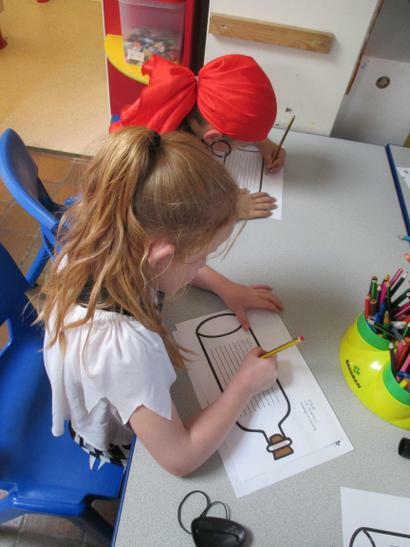 Next we continued our day with some writing. 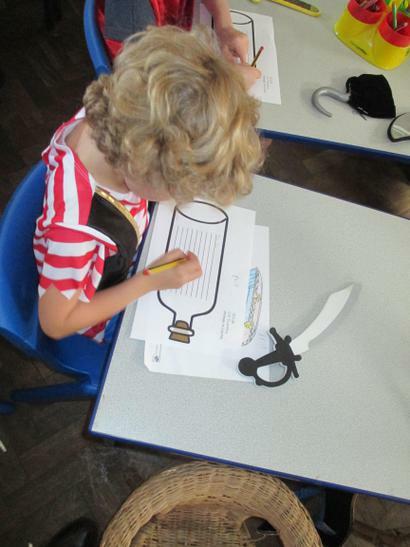 We wrote our very own message in a bottle - some of us were trapped on a desert island after our ships were destroyed, others were warning the finder of our message to stay away from our treasure! 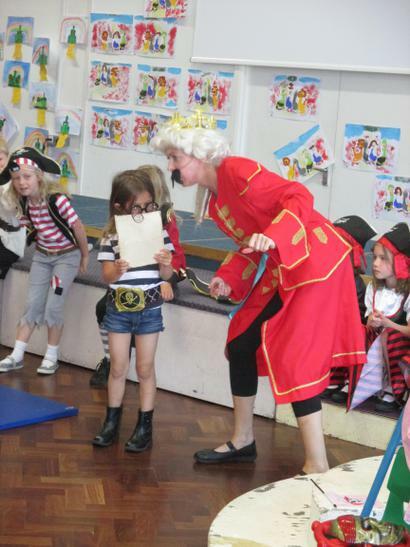 Captain Peg Leg Forsythe loved reading them all. 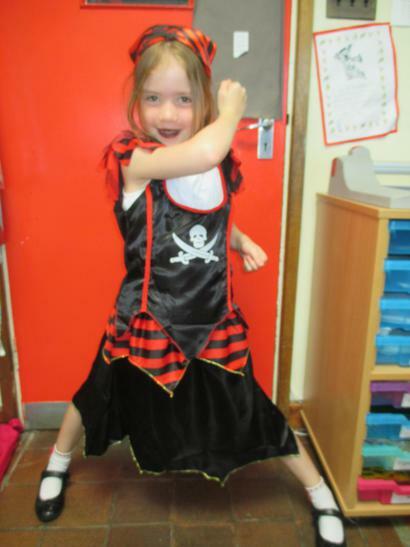 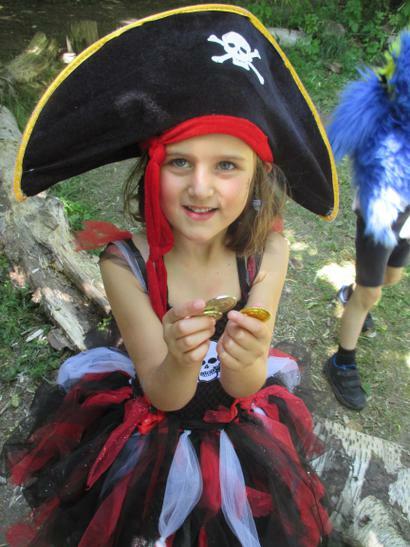 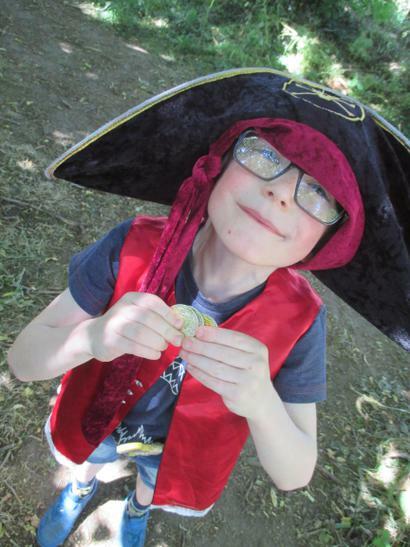 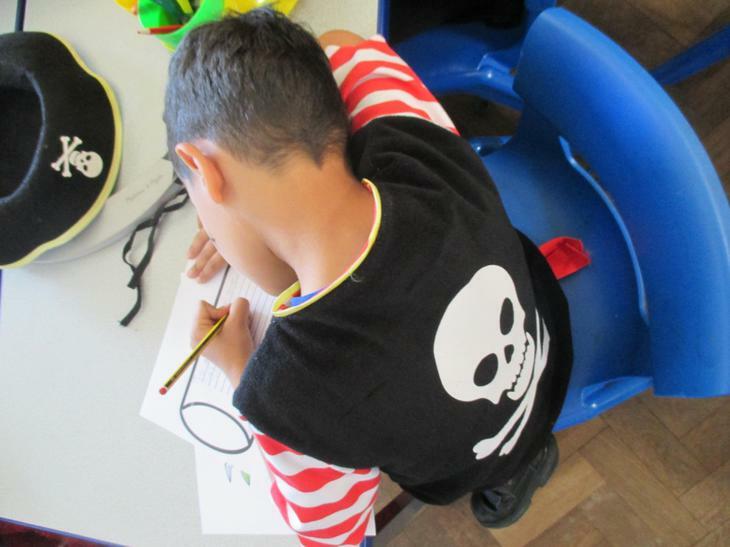 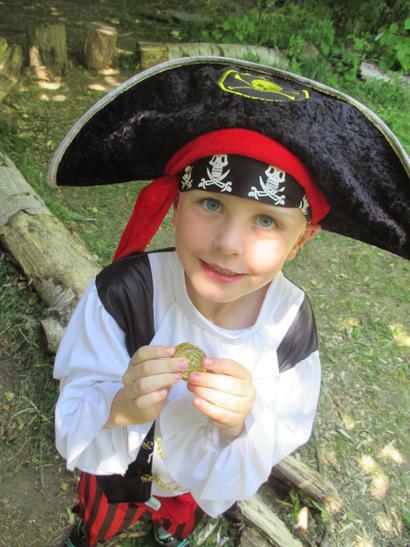 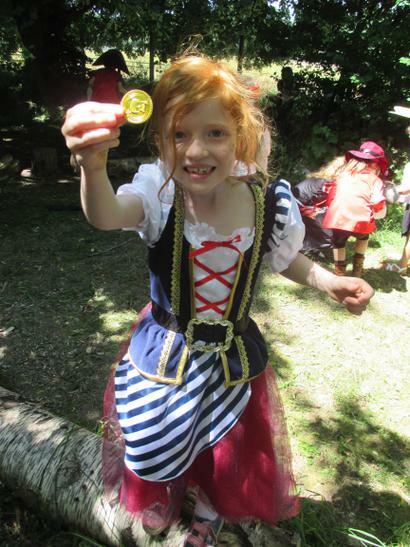 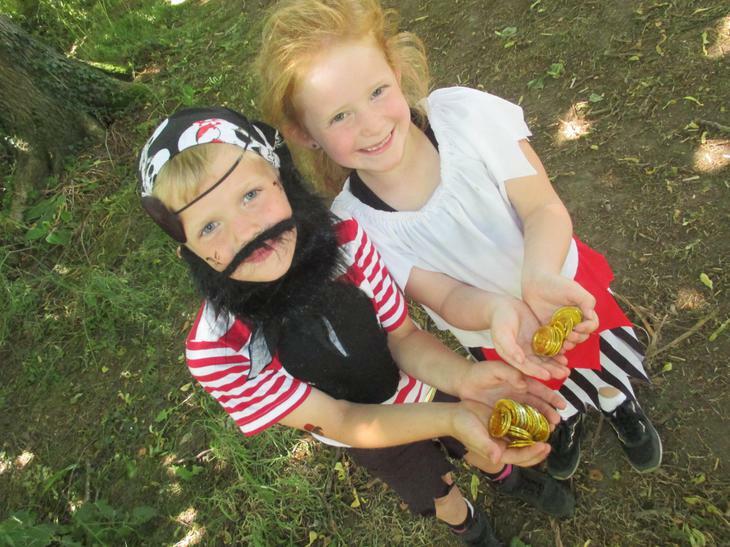 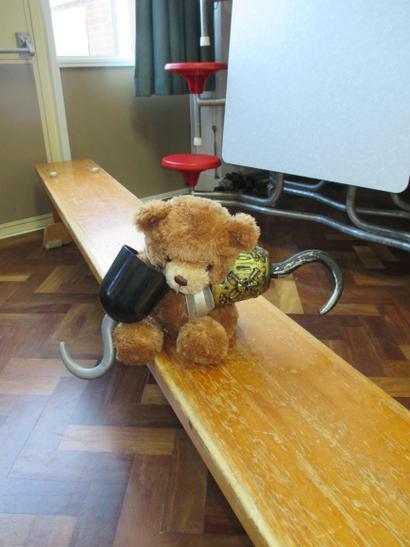 Our afternoon was spent doing our most important pirate jobs - marauding and hunting for treasure of course! 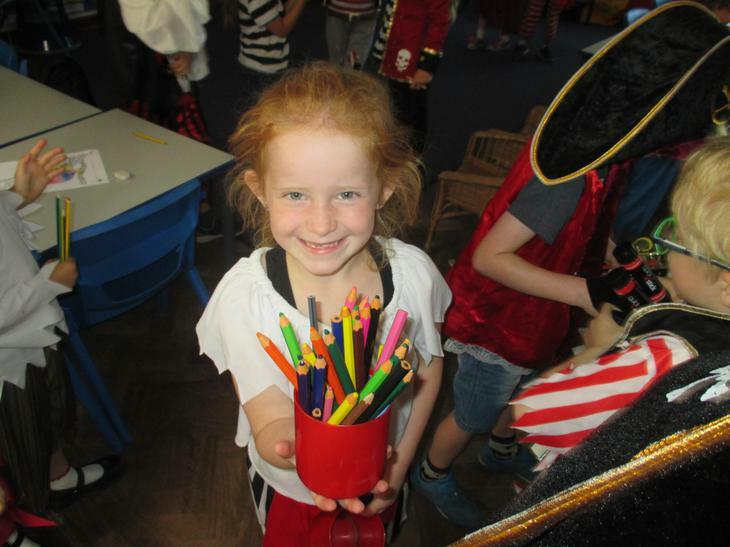 After a year long wait, Elm Crew finally got to exact their revenge on Chestnut Class and raid their classroom, we had glue sticks and pencils abound lads! 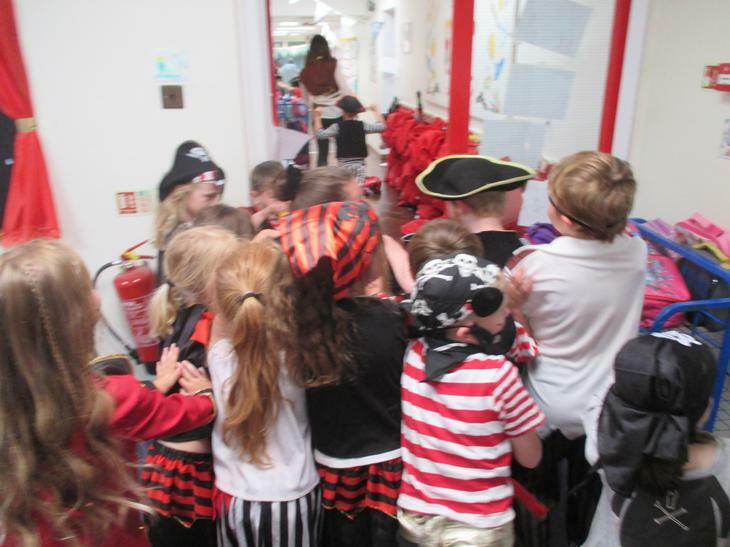 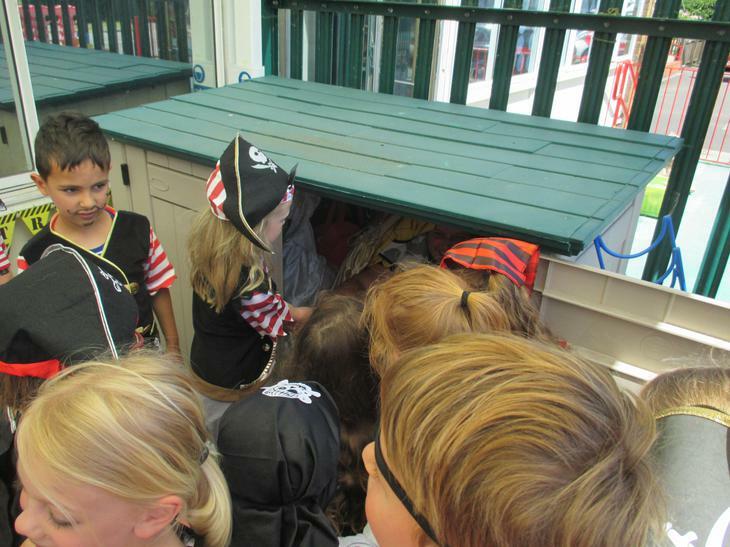 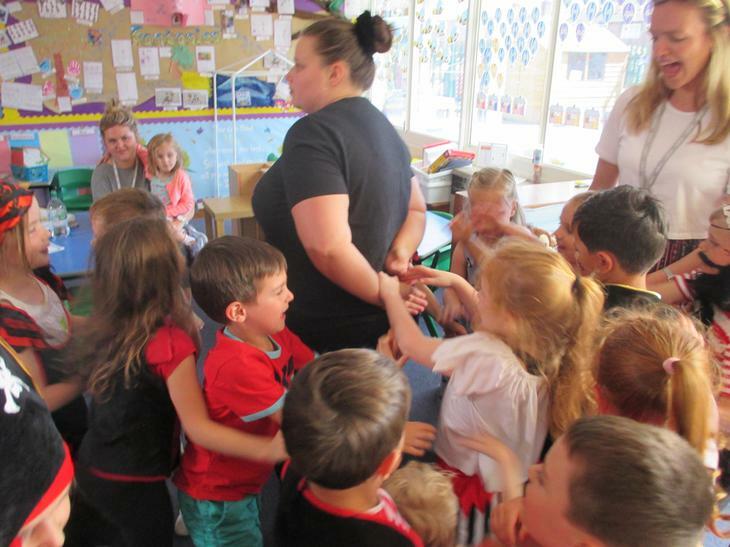 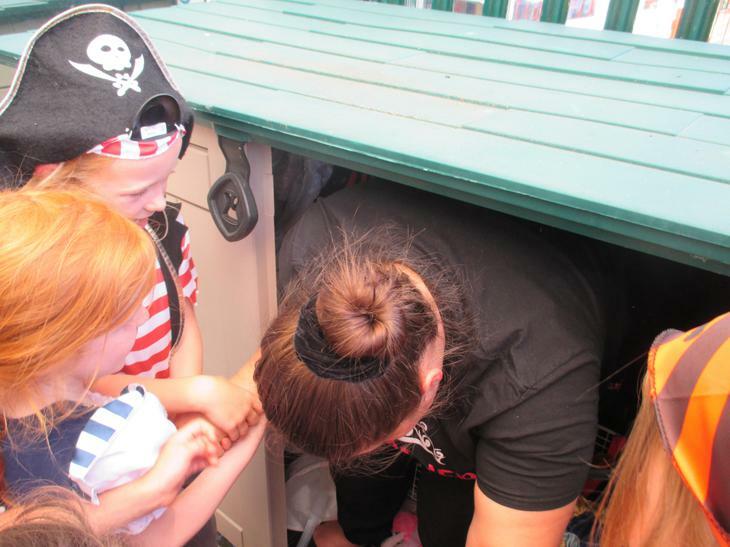 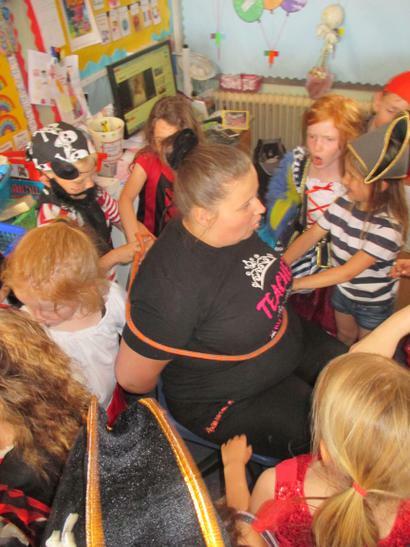 The highlight of our looting however, was stealing an unsuspecting Miss Pitman from Pine Class Island... a challenge at first, but like true pirates we persisted and found our treasure! 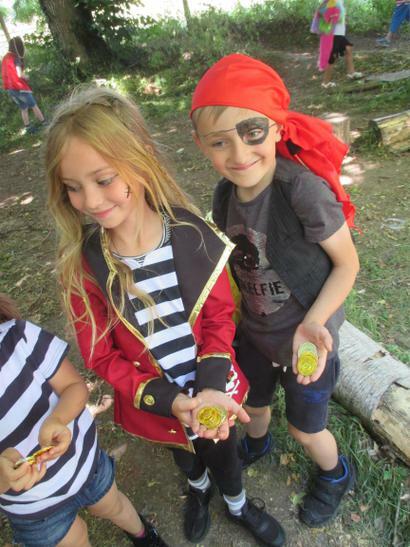 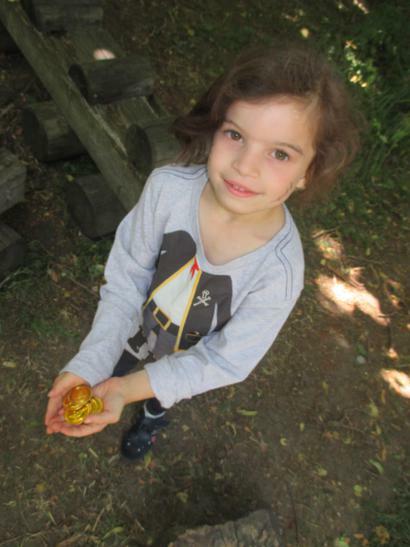 The day finished with an exhilarating treasure hunt, our pirate skills were put to the test but we succeeded in finding all of the treaure, we haven't decided what we are going to buy with it yet... a new ship perhaps? 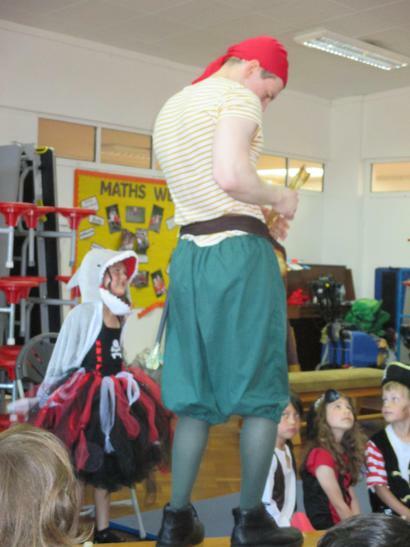 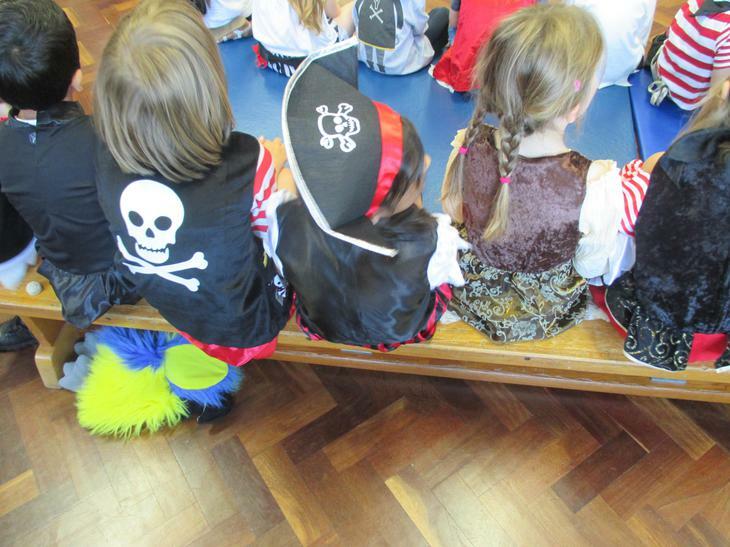 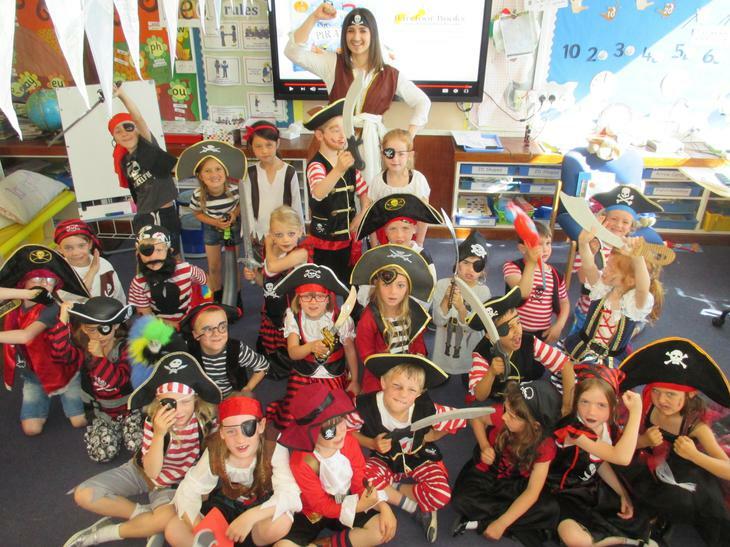 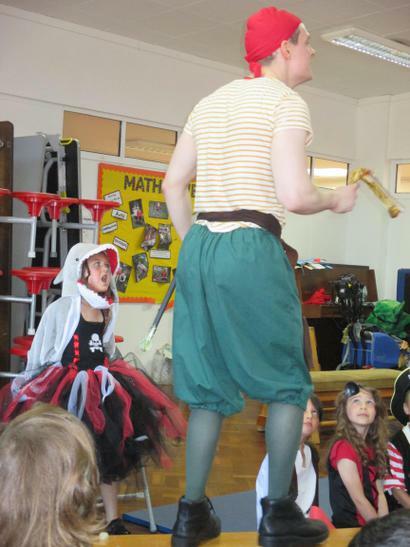 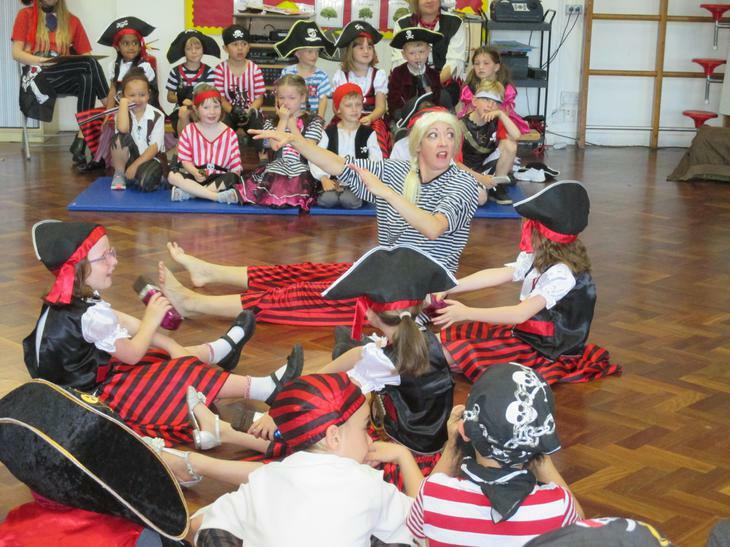 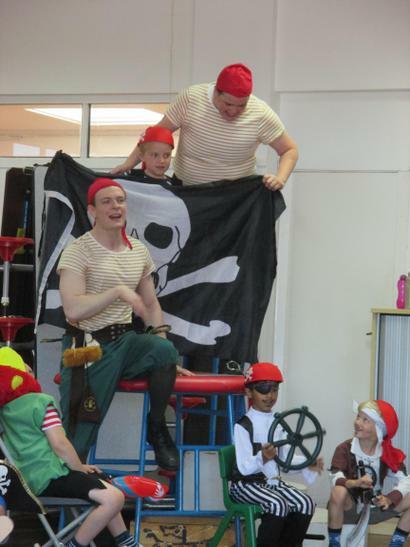 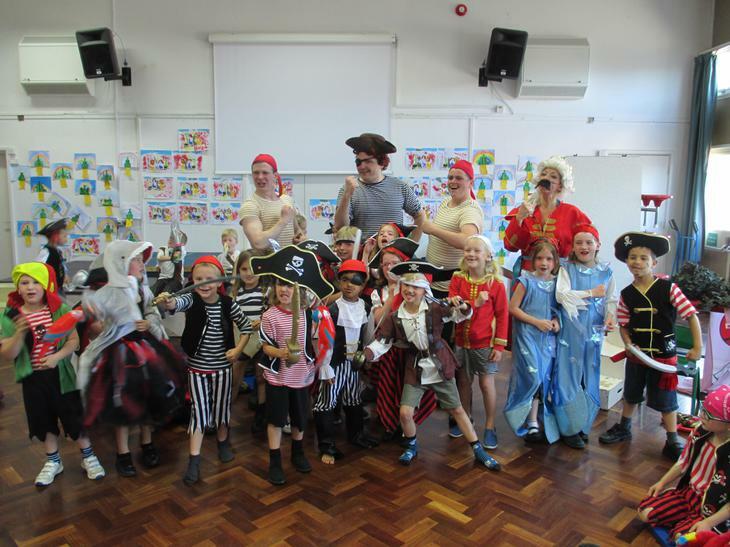 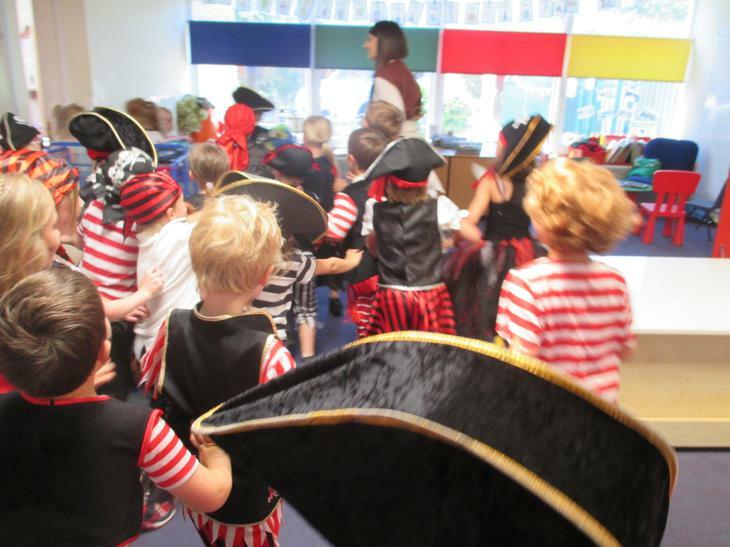 Needless to say we had a wonderful, rip-roaring day which Chalfont St Peter Infant School won't forget anytime soon... Shiver me timbers!